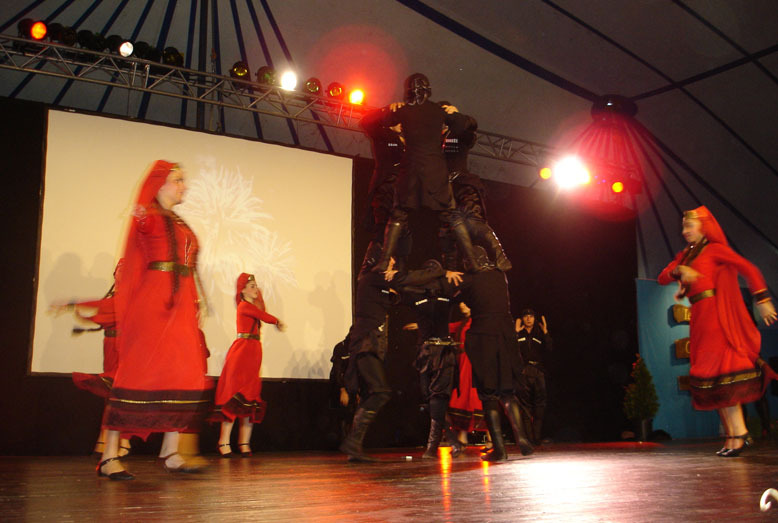 Georgian Folk Dance Ensemble "BAGRATI"
The folklore ensemble "Bagrati" was created in 1994 in Kutaisi on base of choreographic workers union. 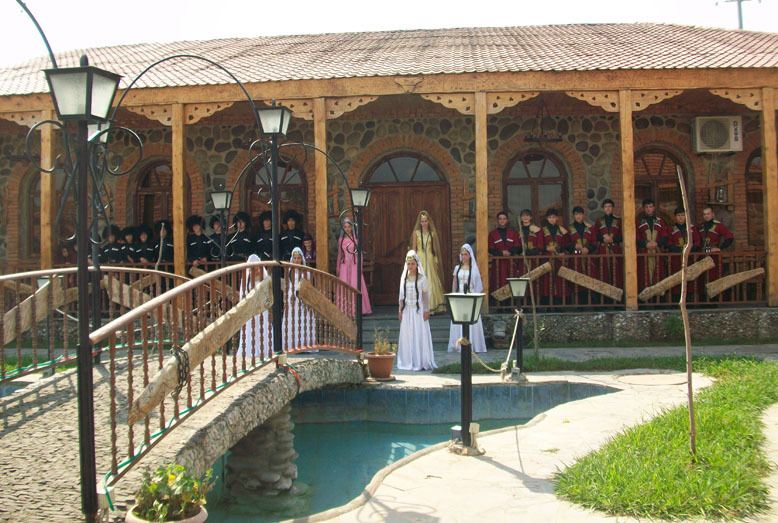 Kutaisi is situated in the central part of western Georgia, on the bank of the river Rioni. 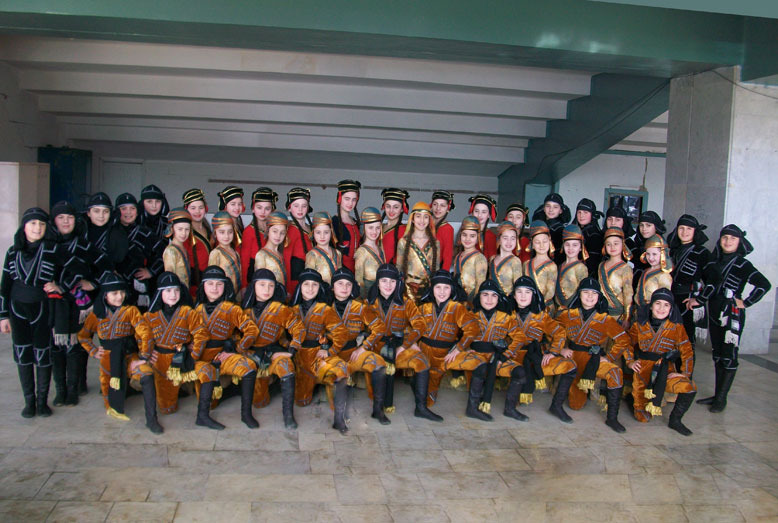 Long ago (in X - XI centuries) a marvelous temple was built the title town. 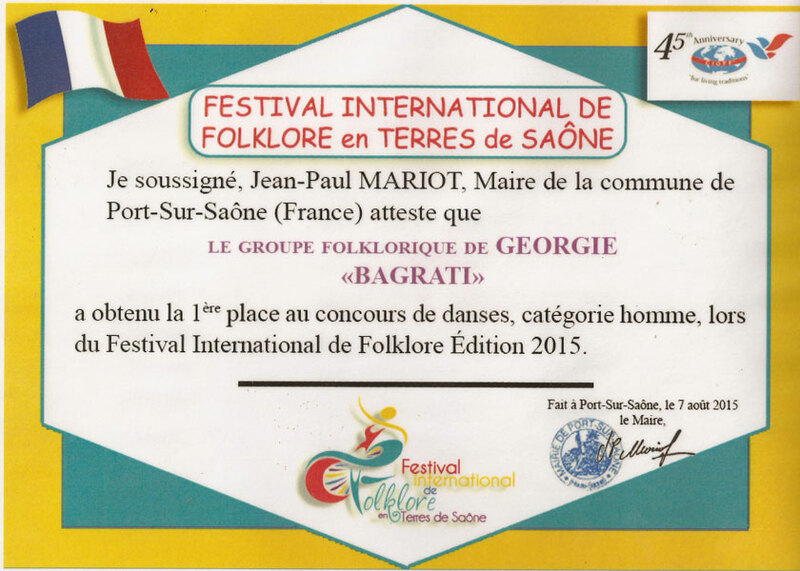 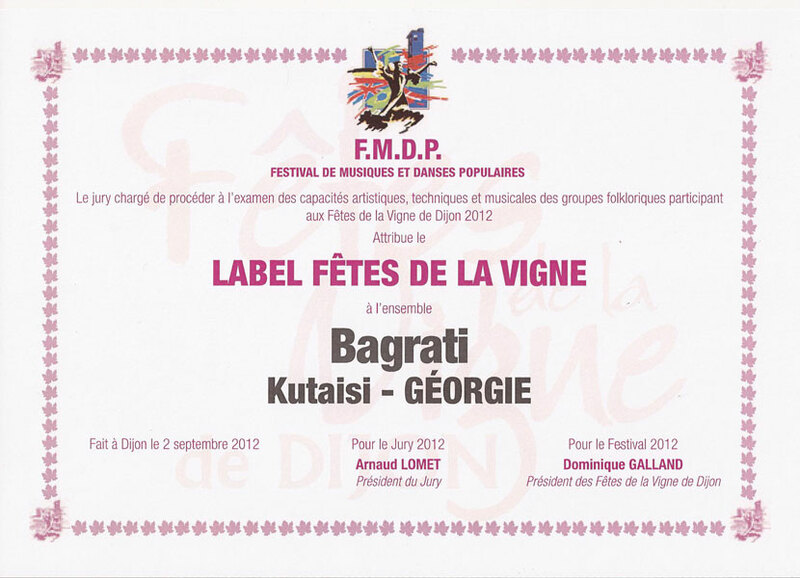 The folklore ensemble "Bagrati" was created to glorify this temple. 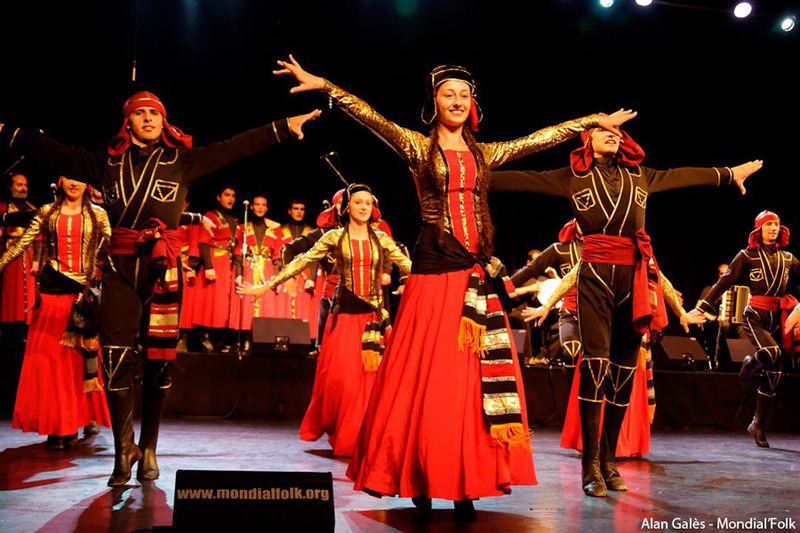 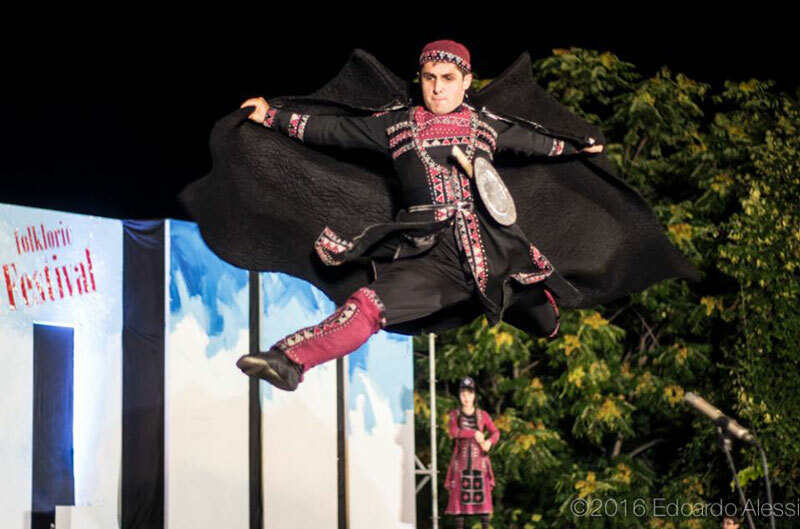 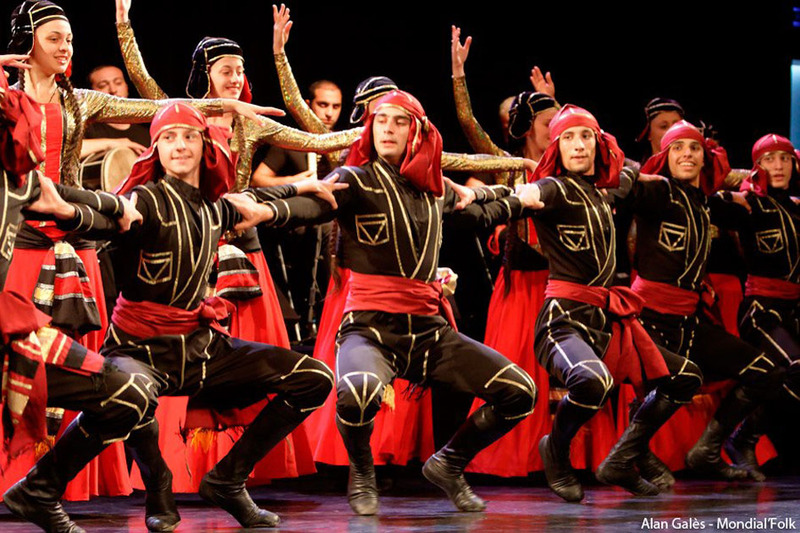 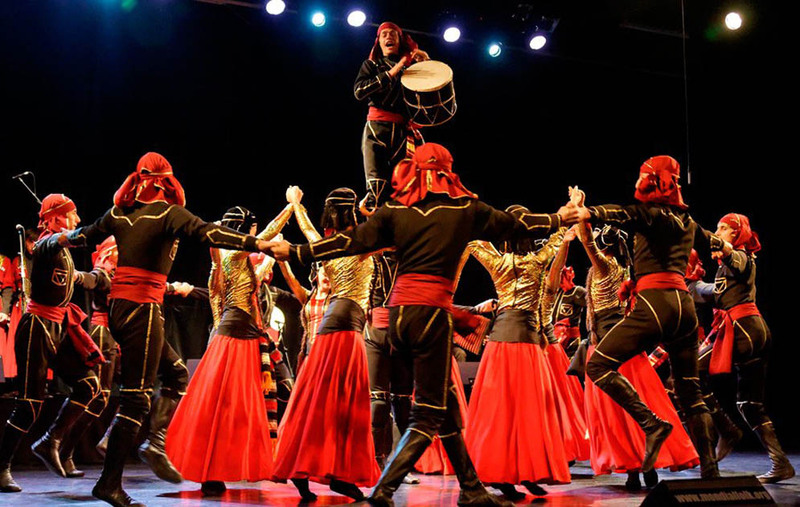 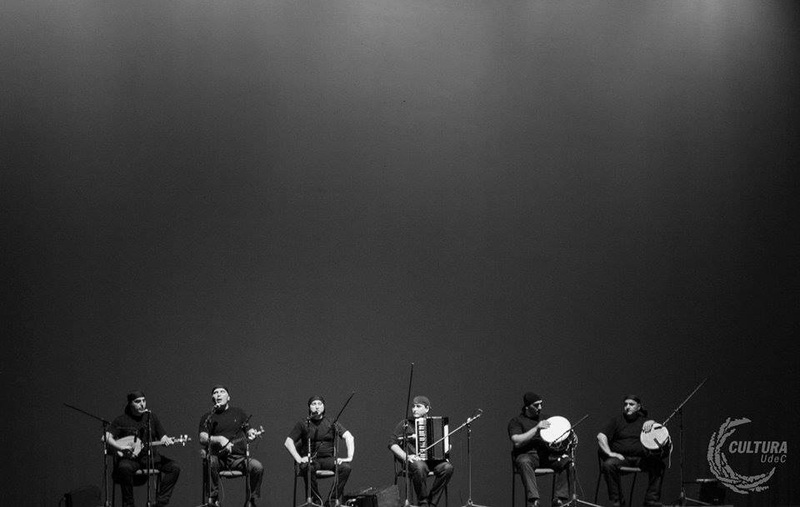 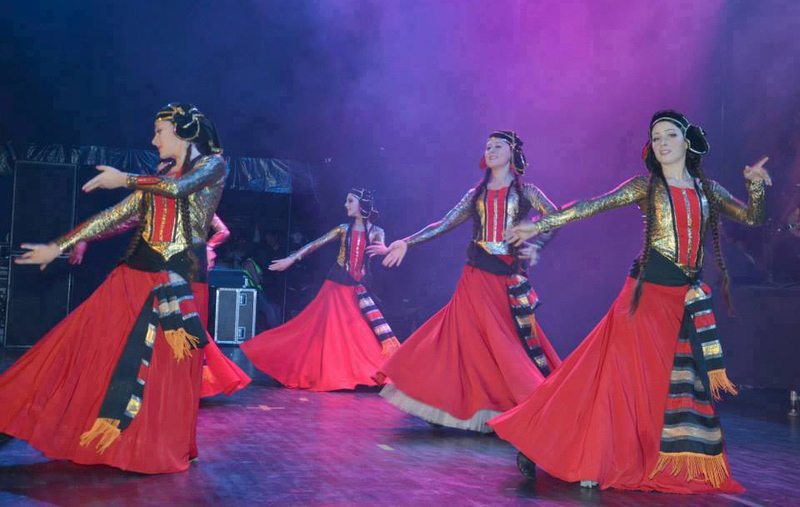 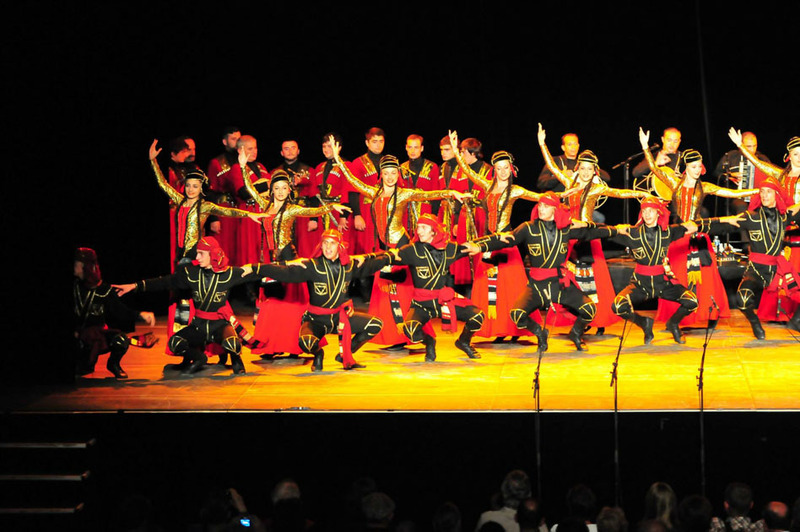 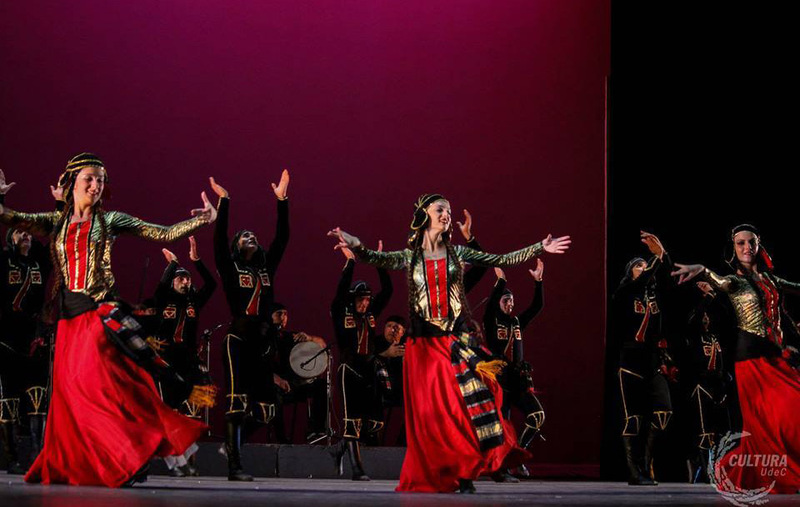 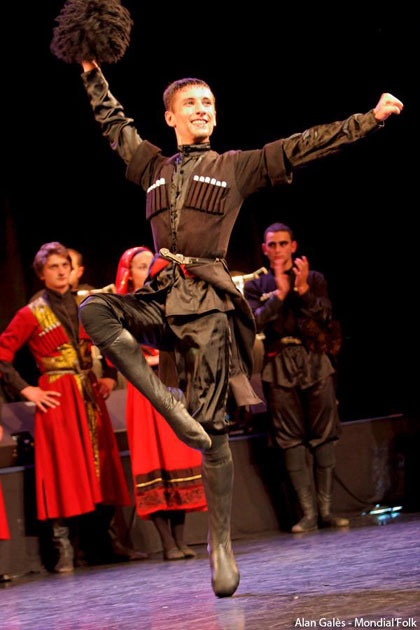 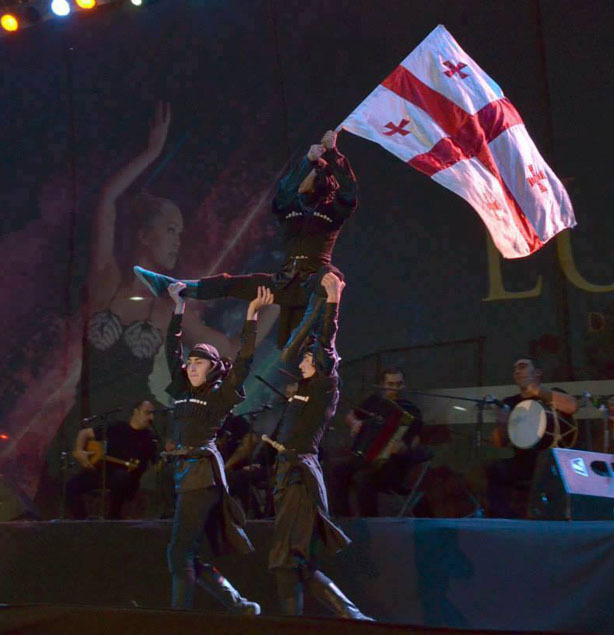 The ensemble from the beginning of its existence aims at making choreographic and musical numbers reflecting the folklore of all the region of Georgia and continuously enriches them with new ideas. 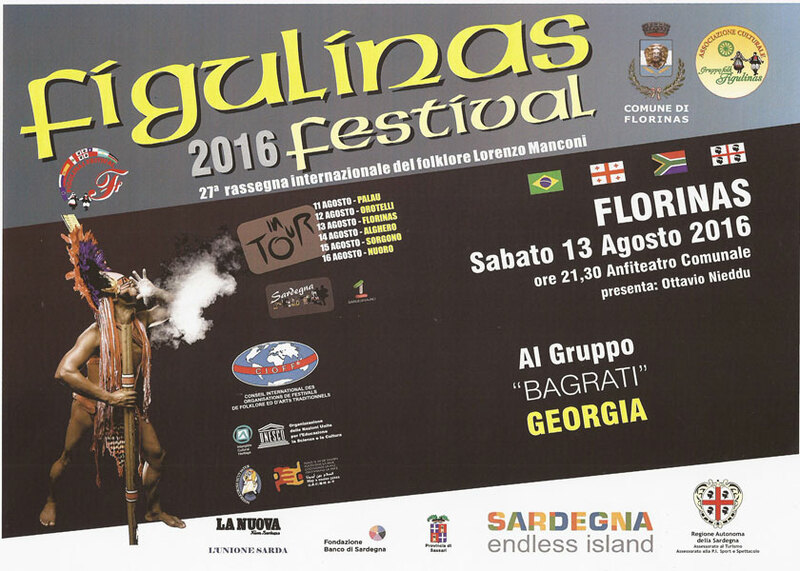 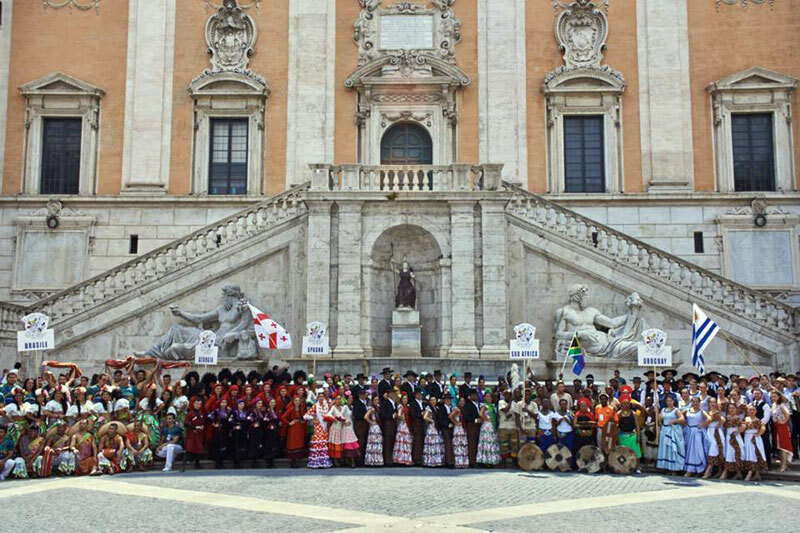 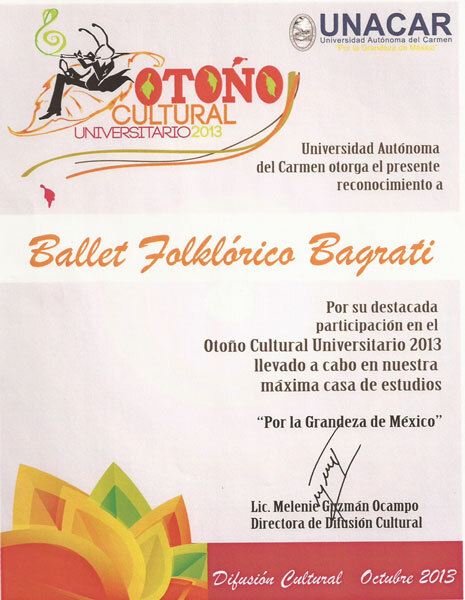 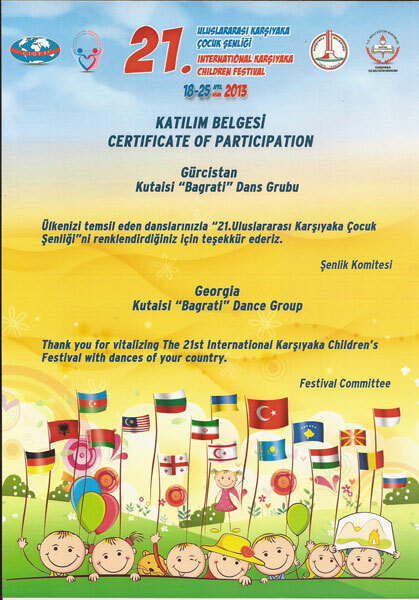 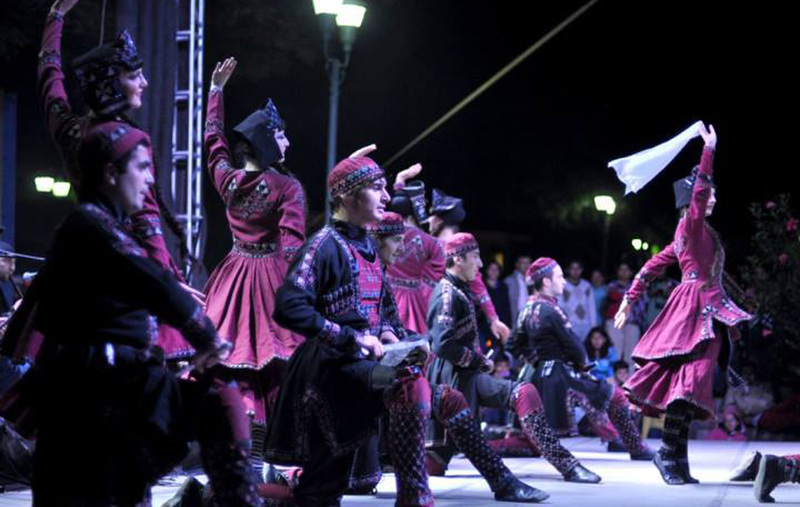 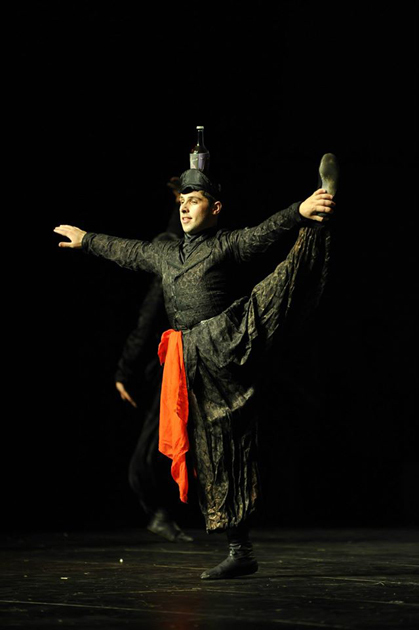 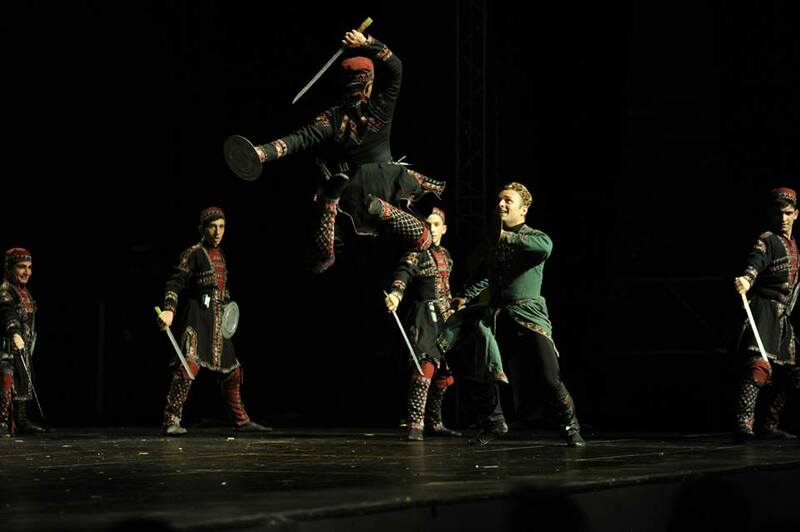 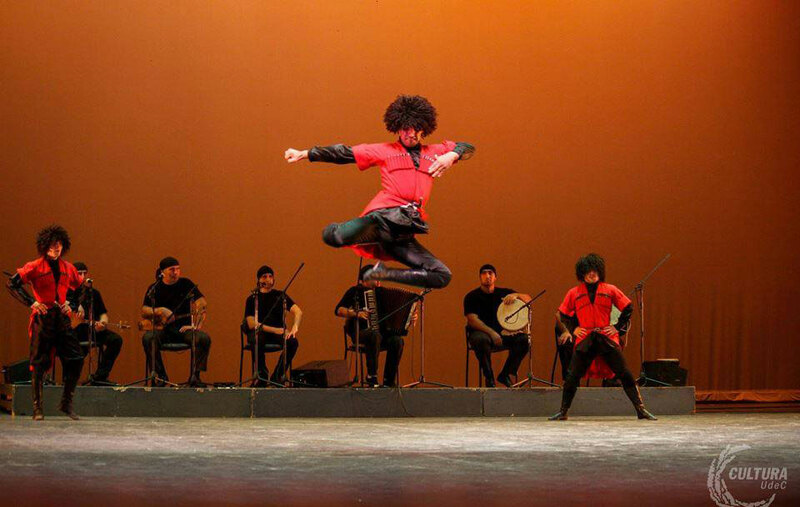 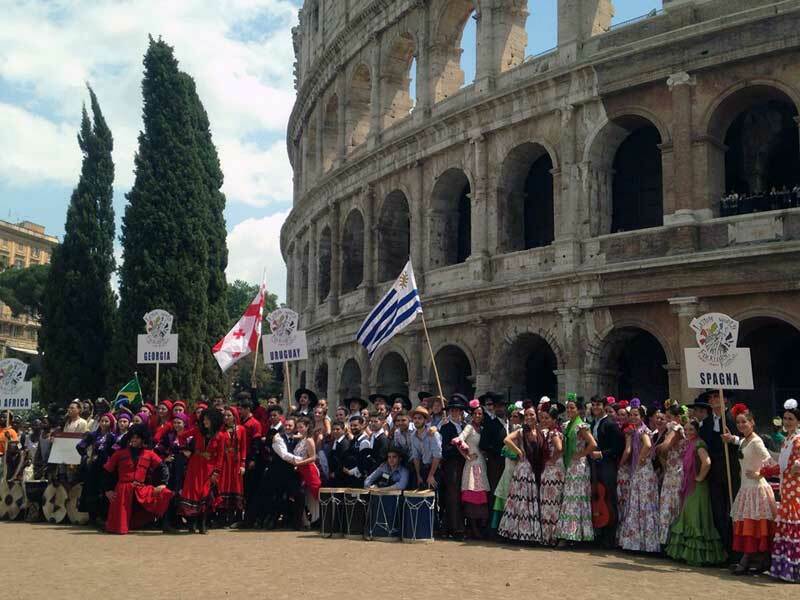 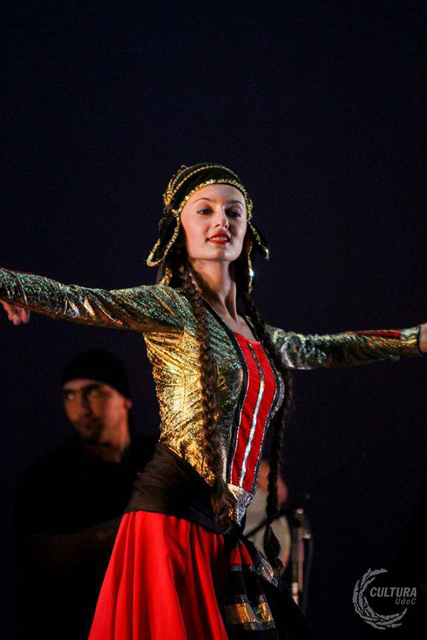 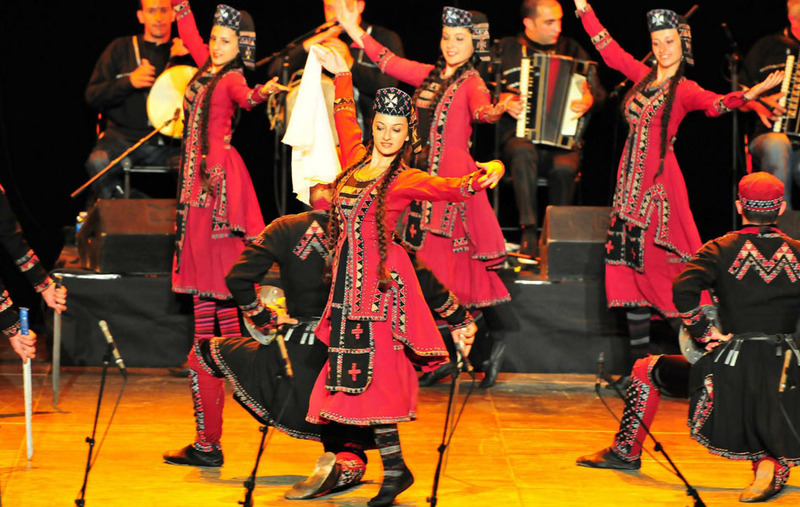 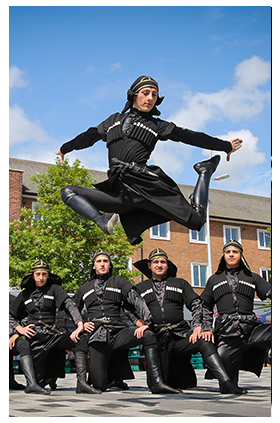 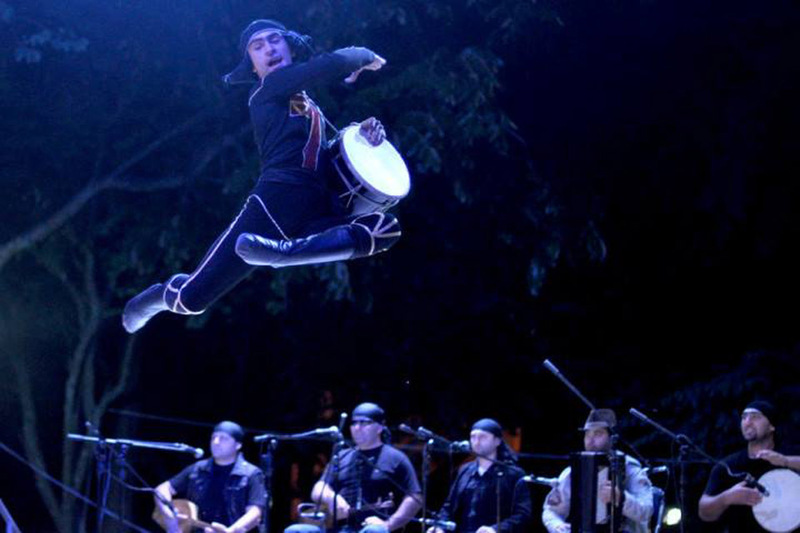 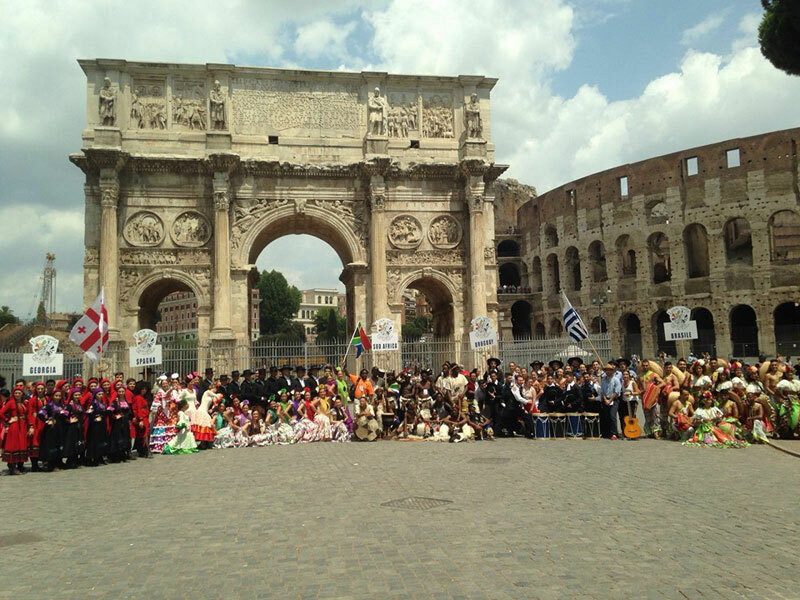 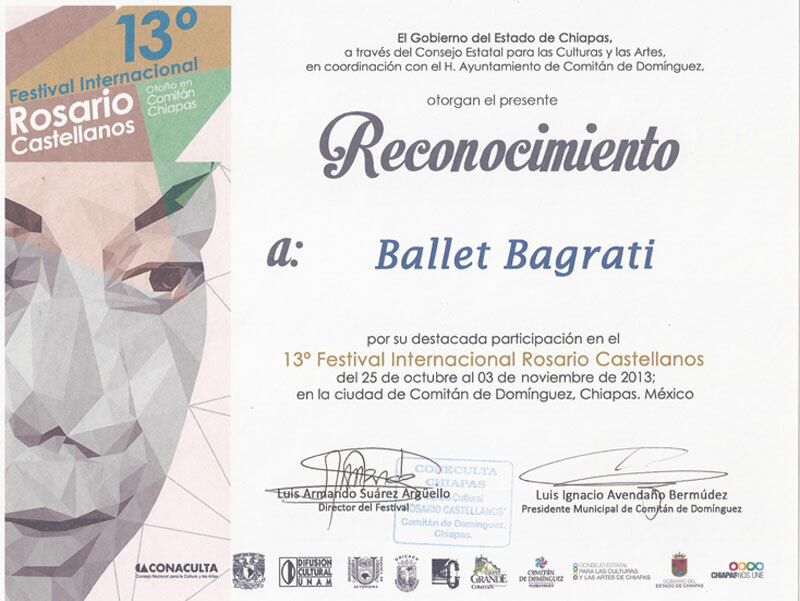 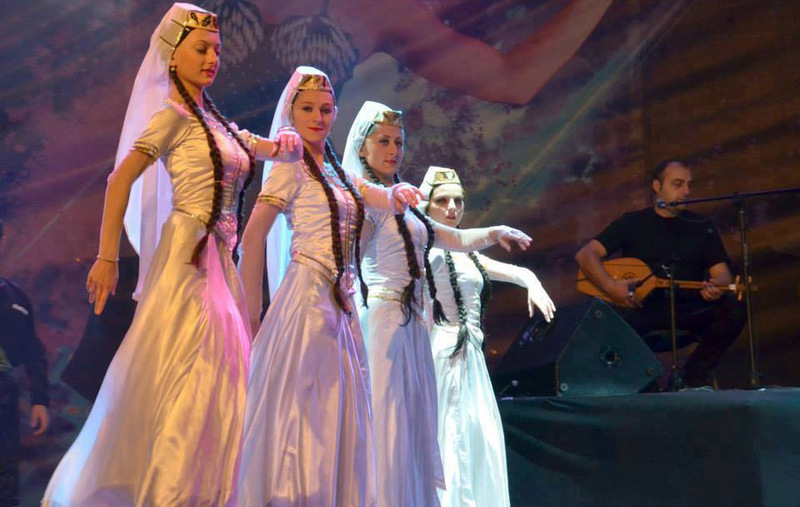 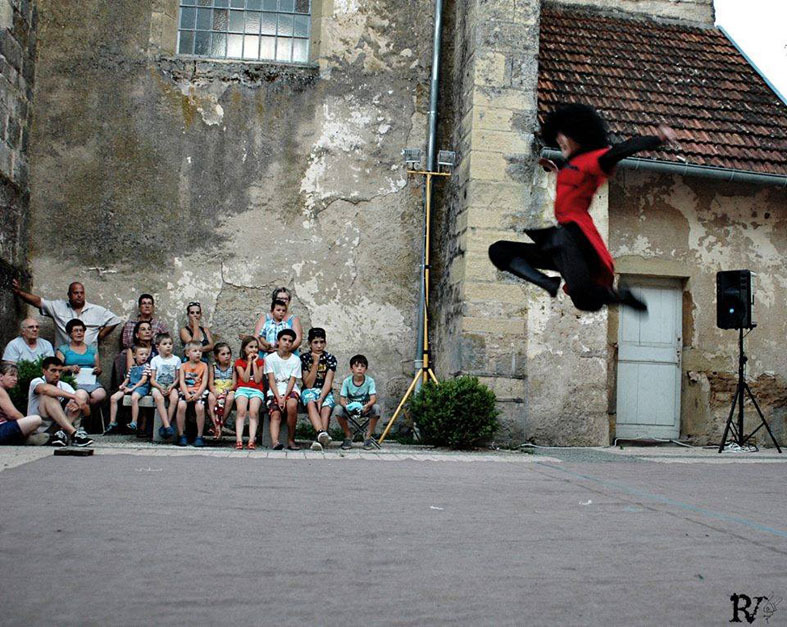 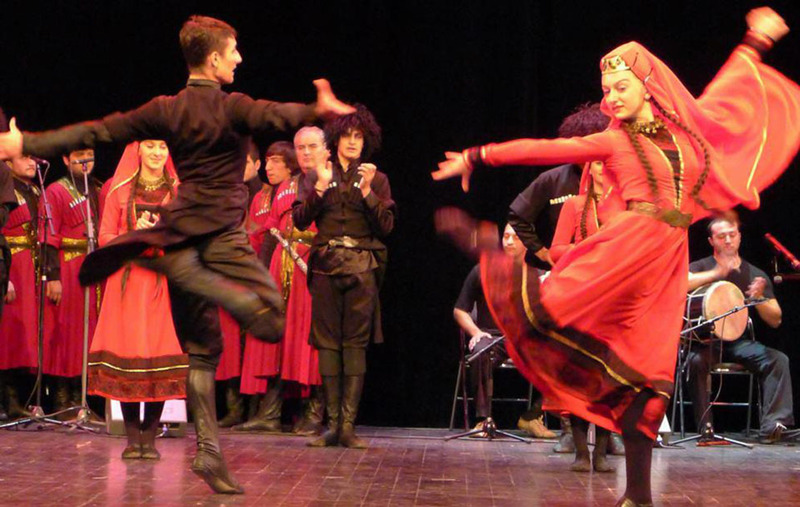 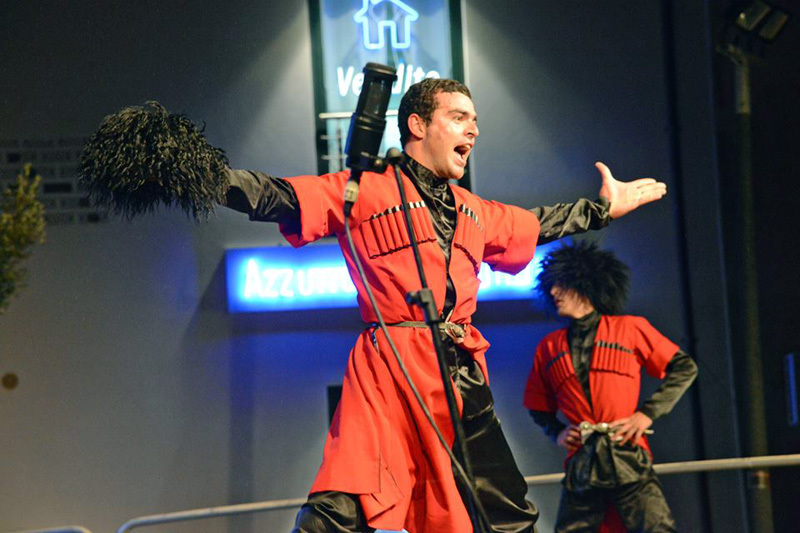 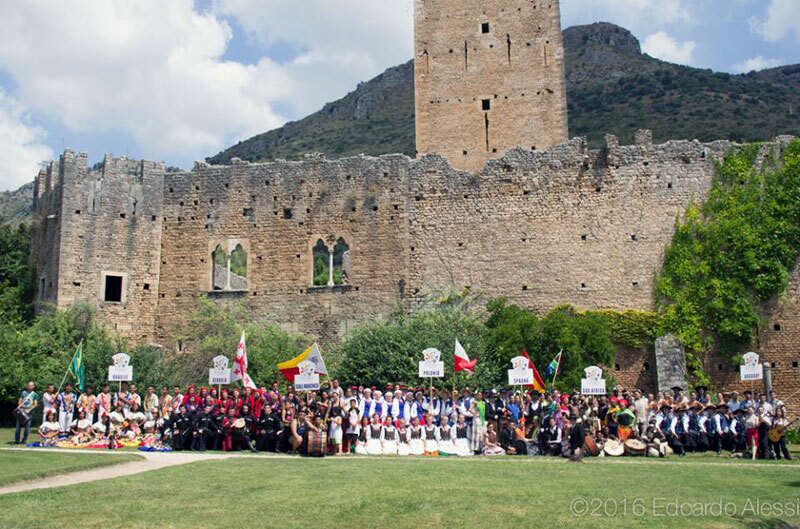 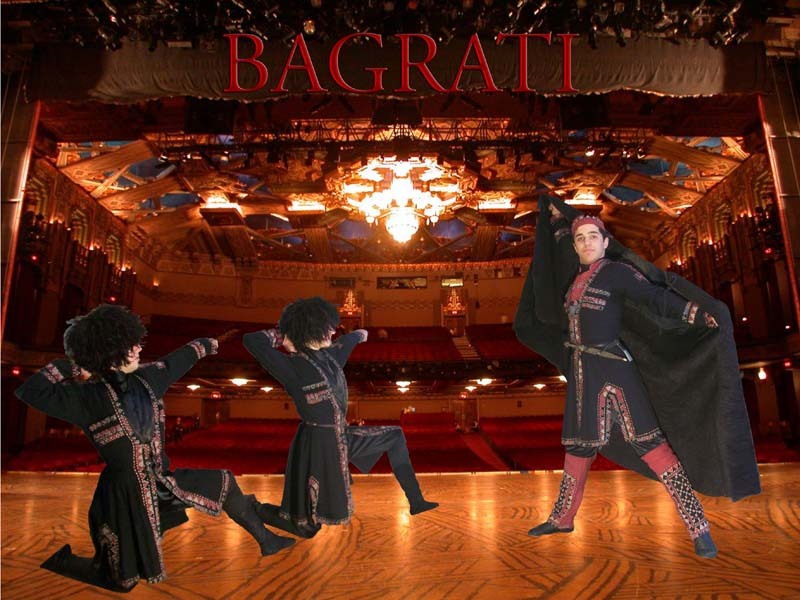 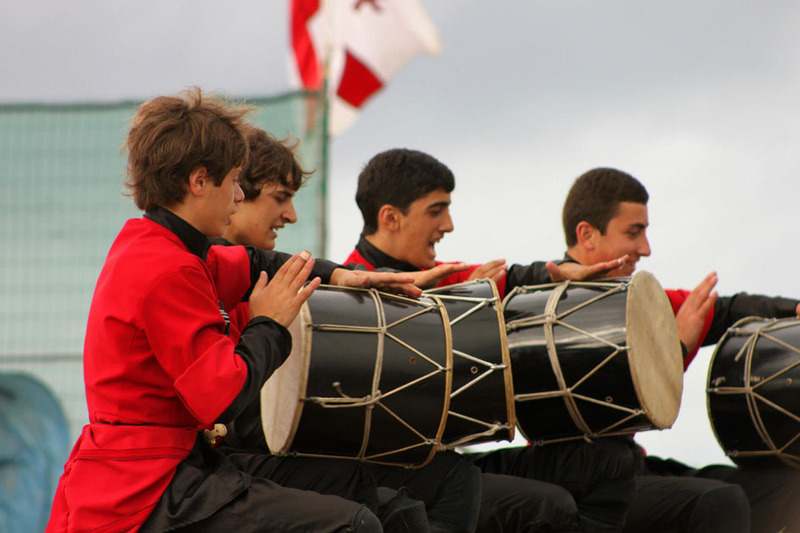 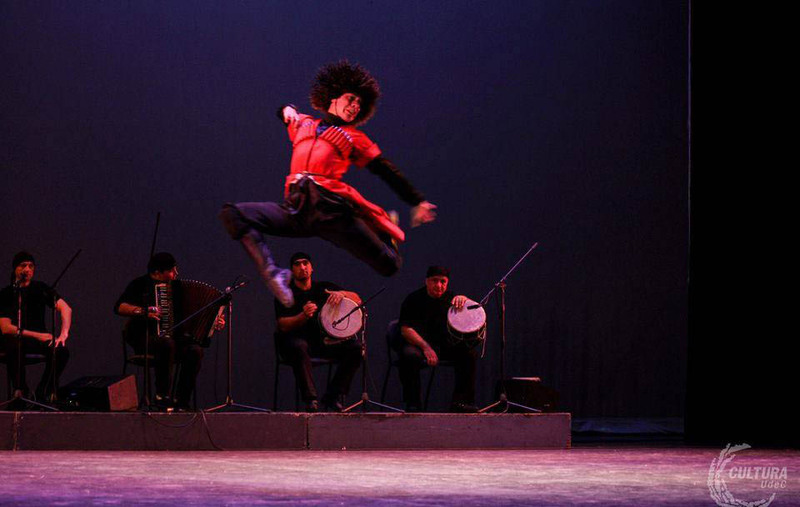 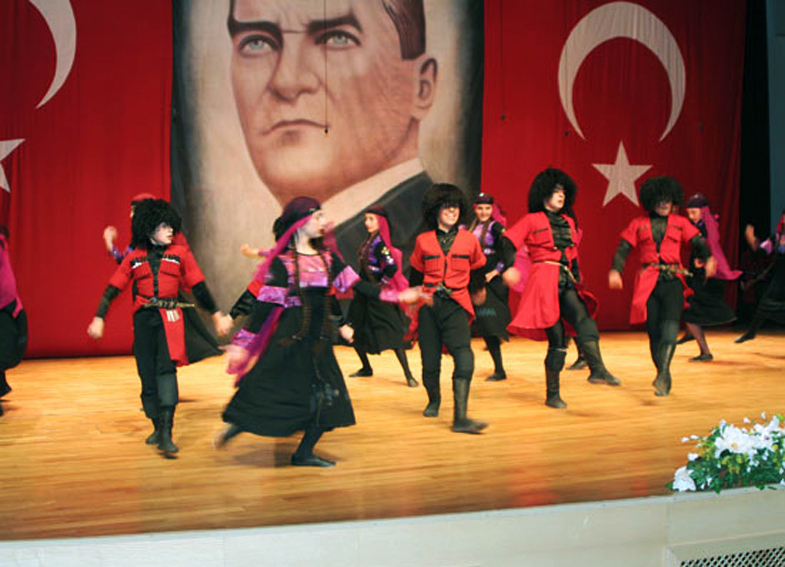 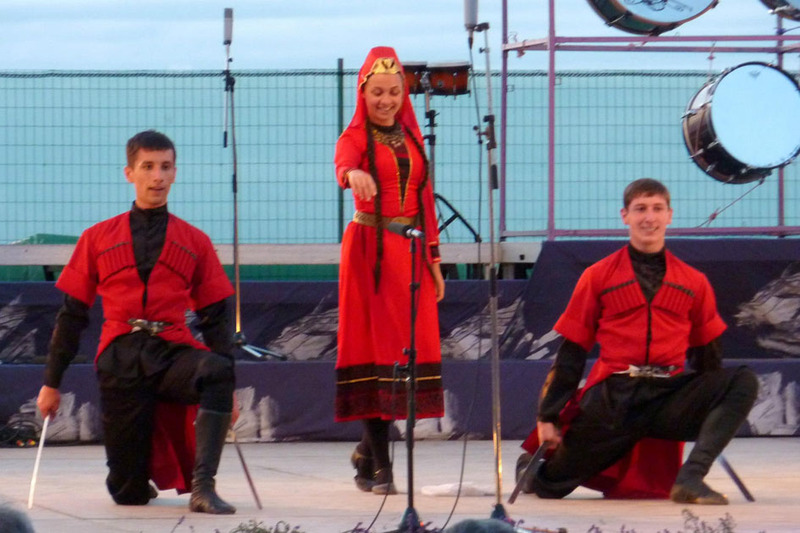 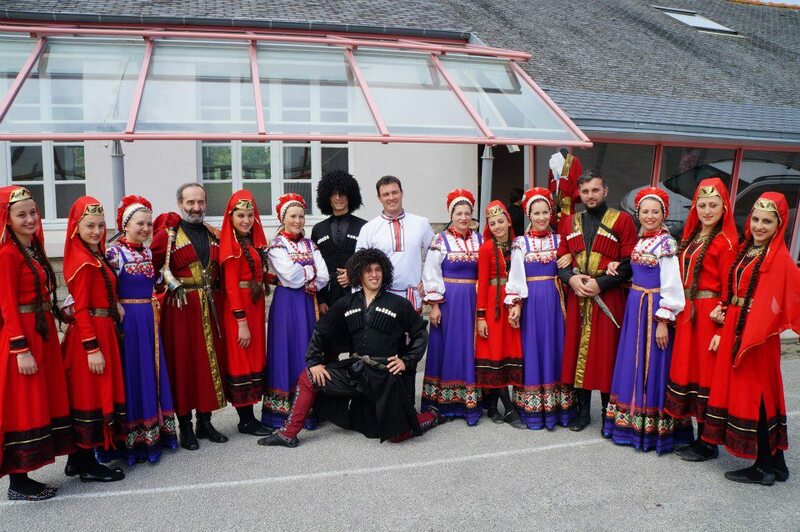 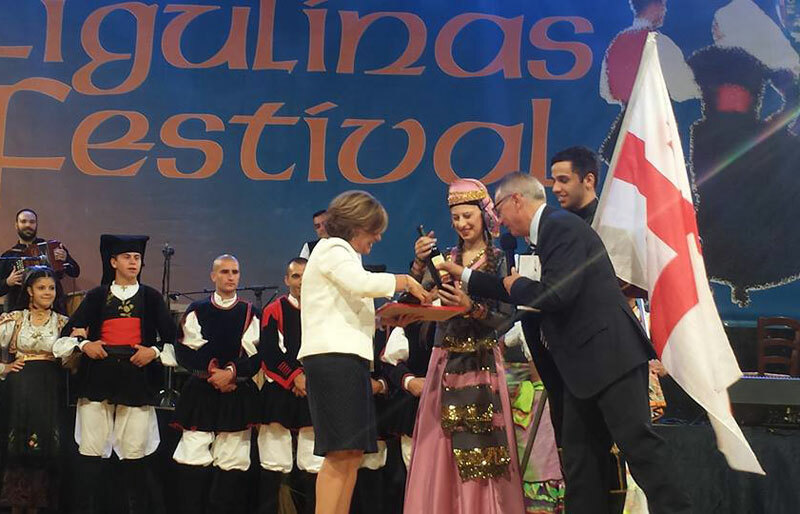 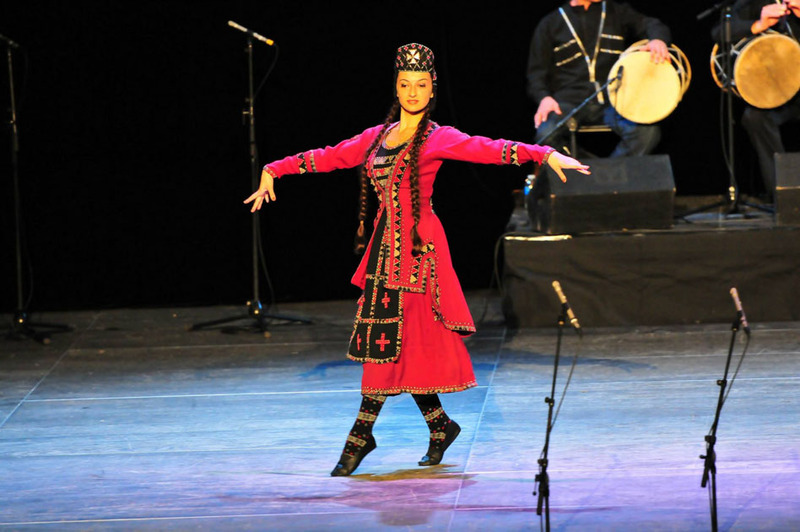 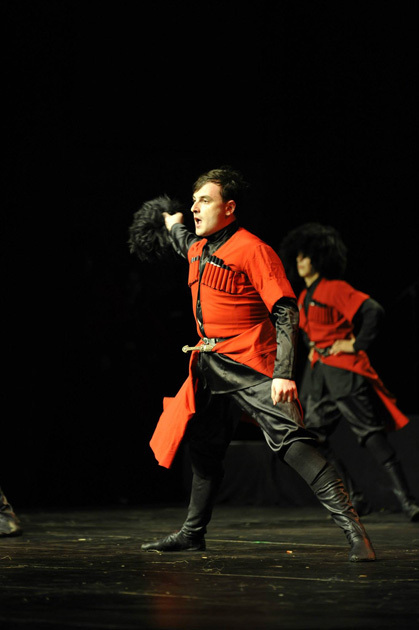 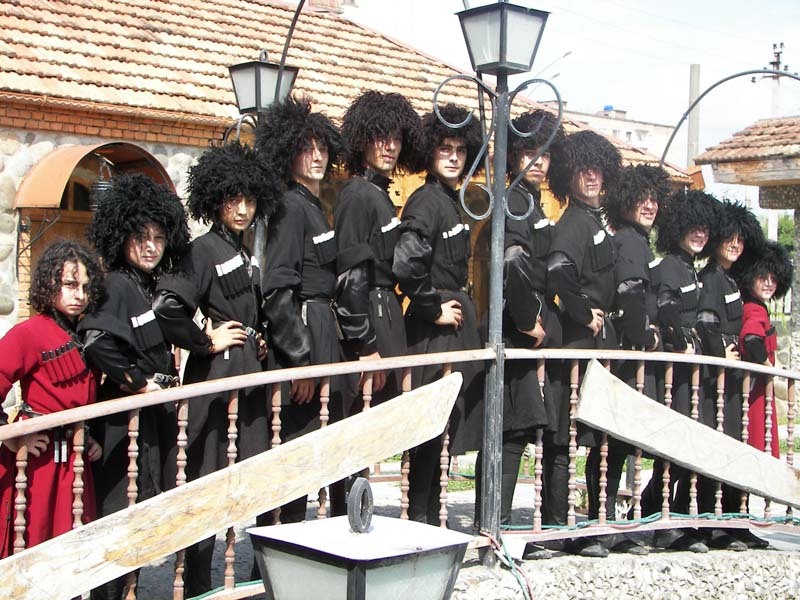 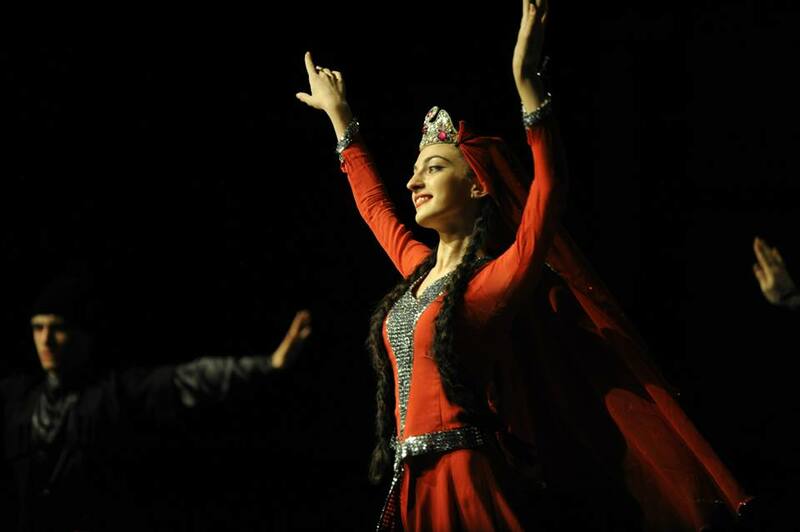 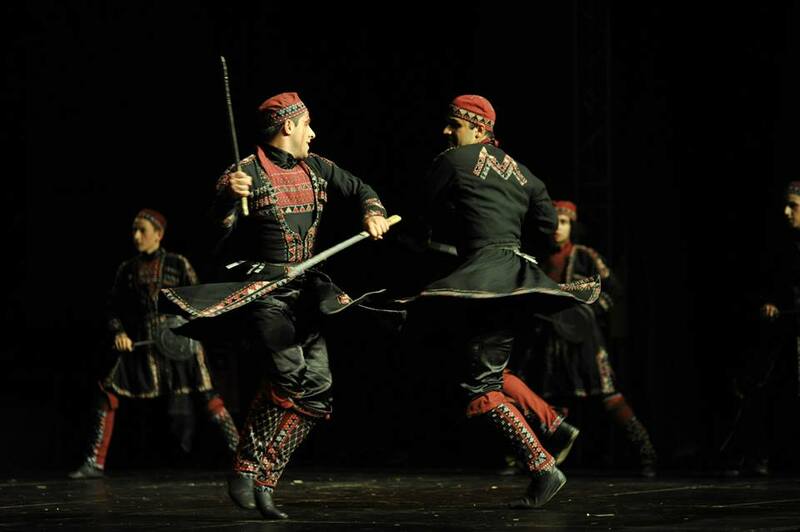 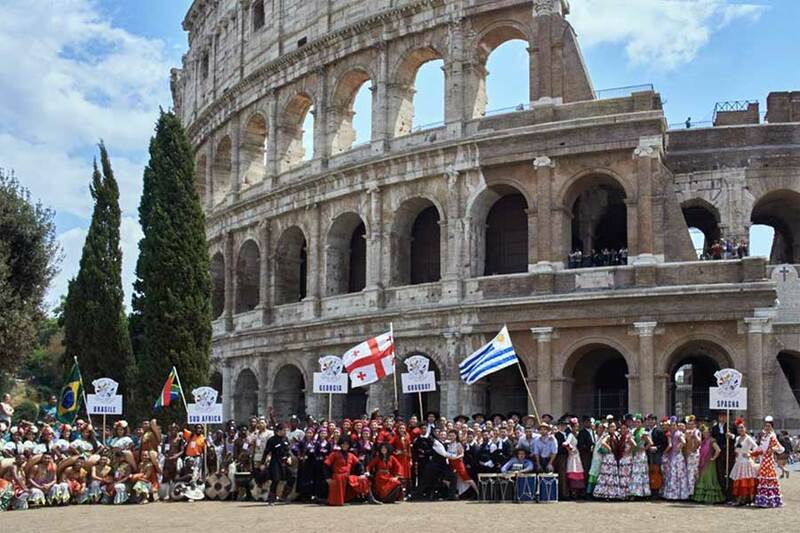 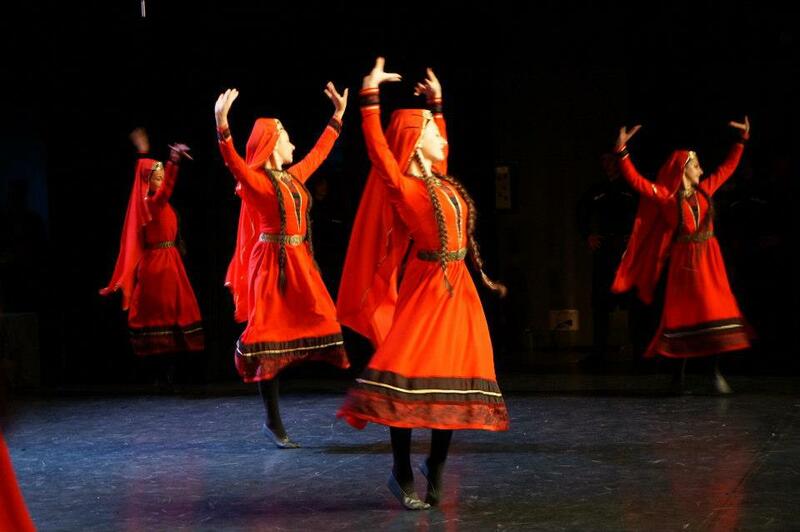 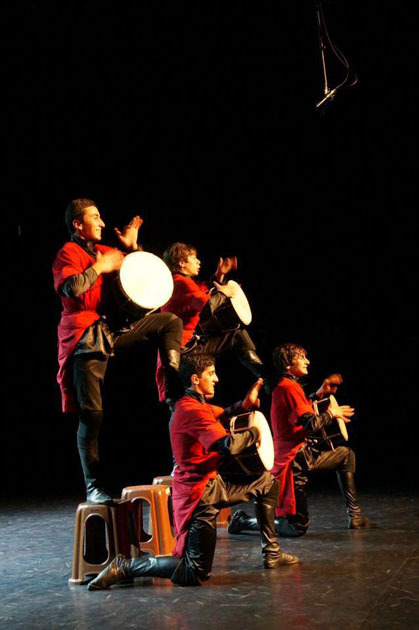 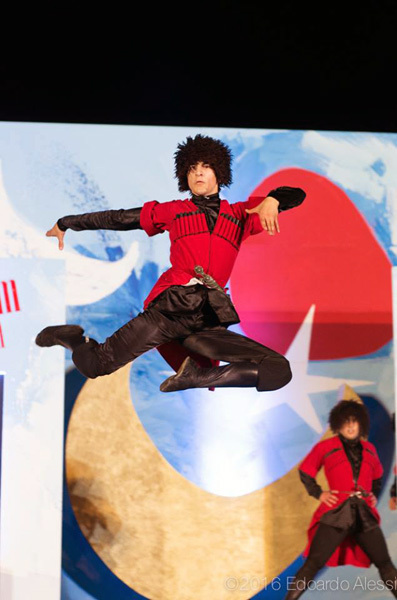 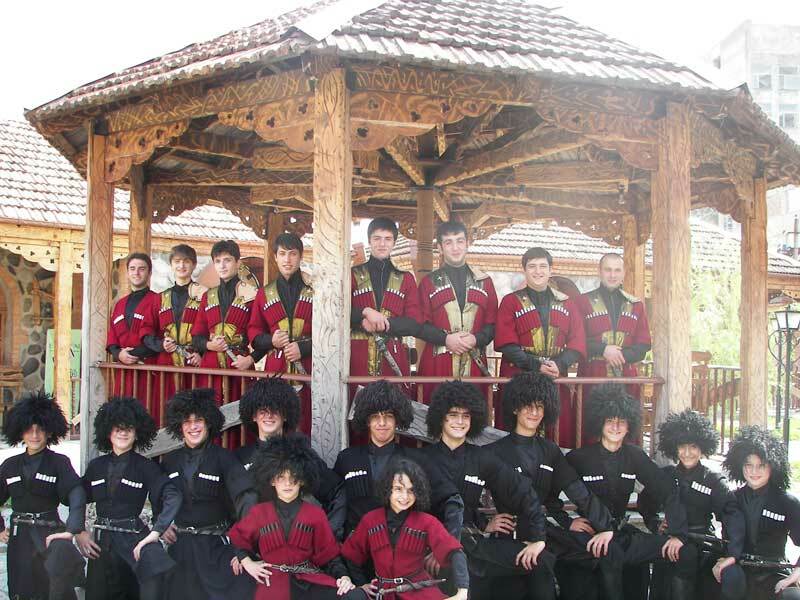 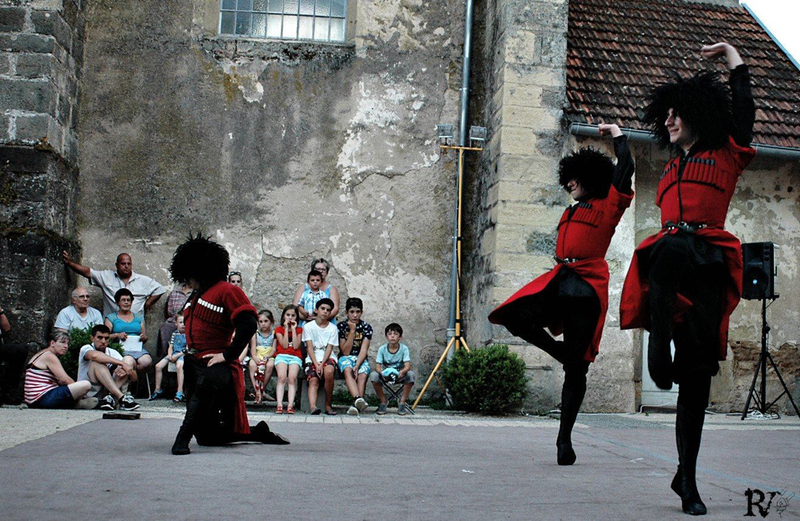 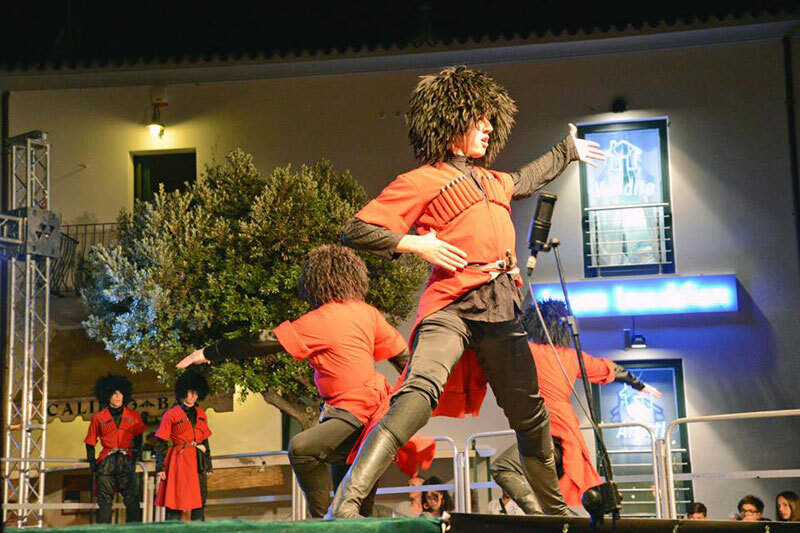 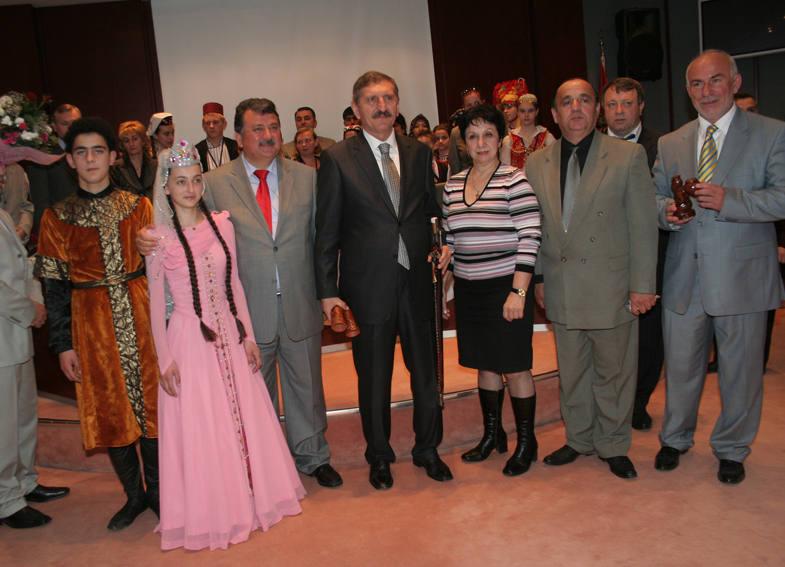 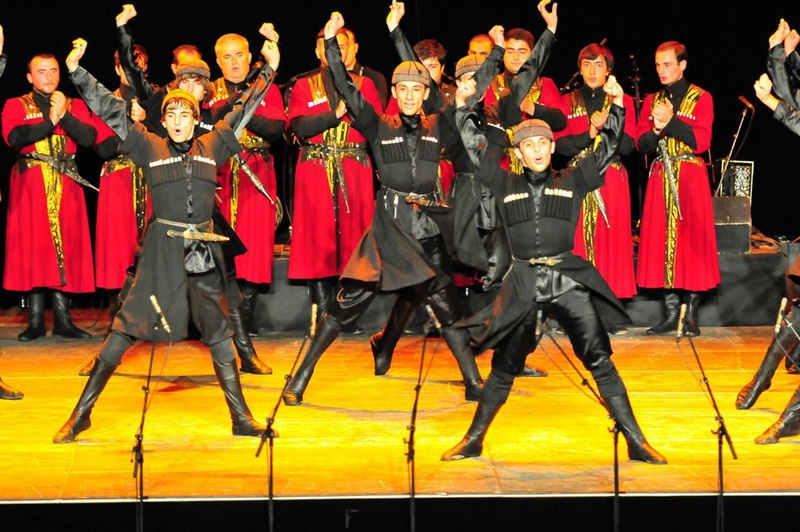 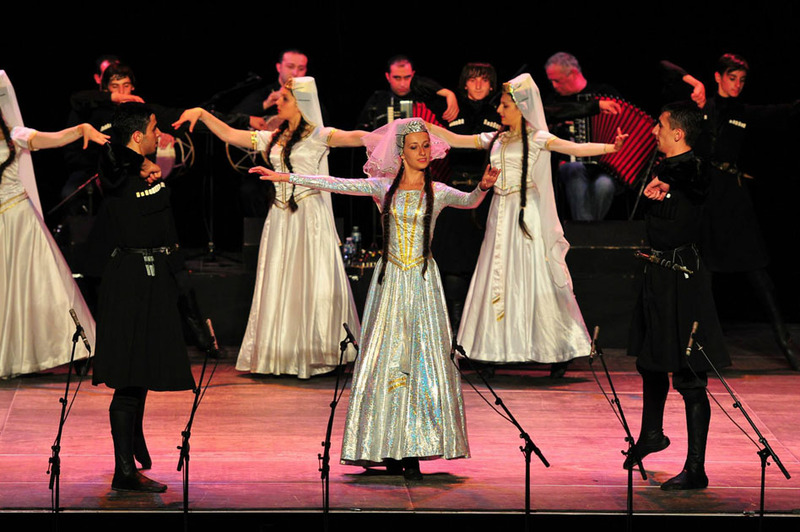 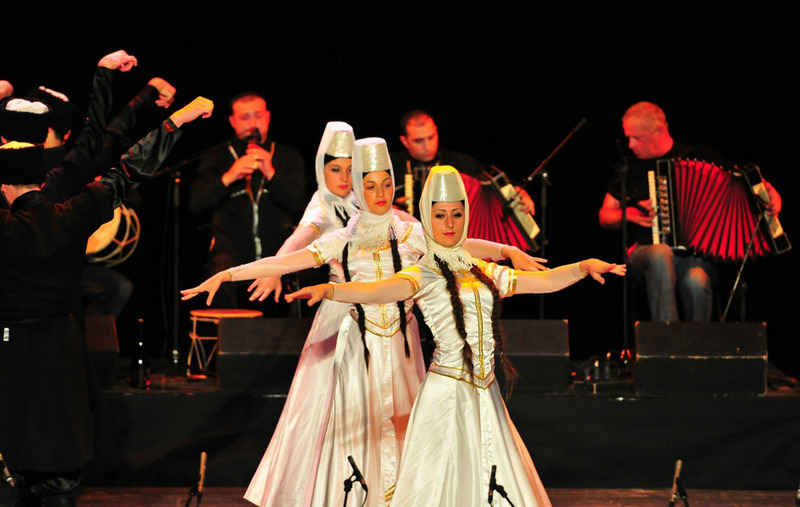 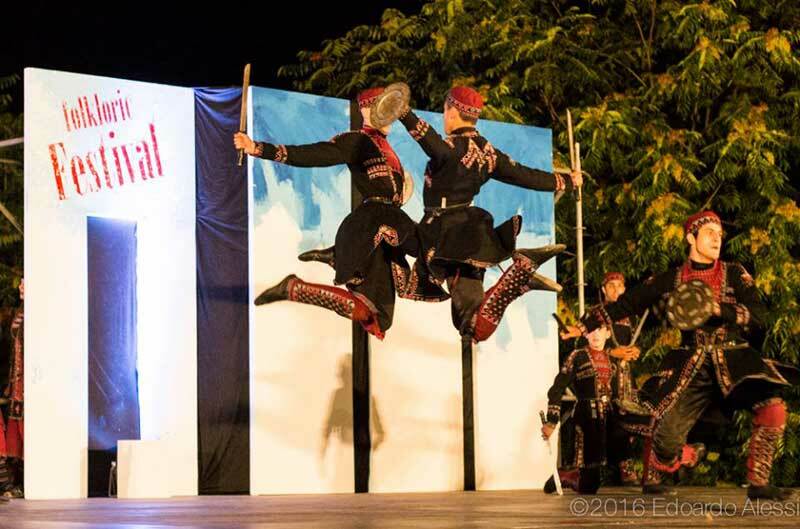 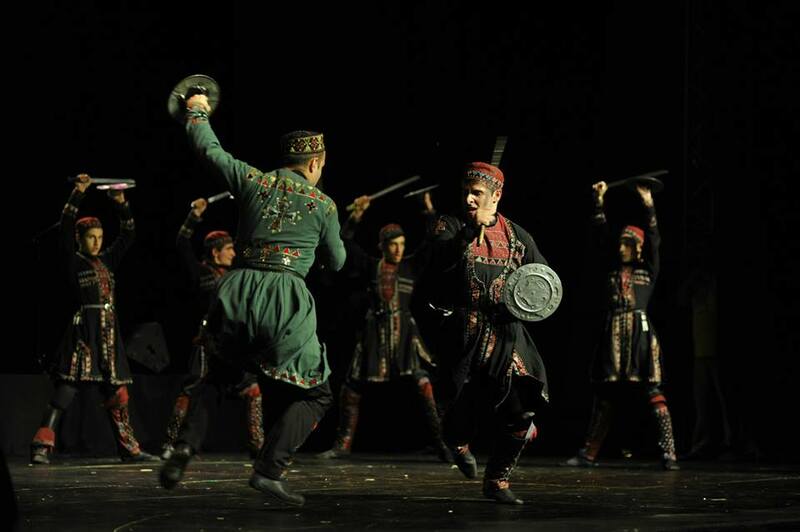 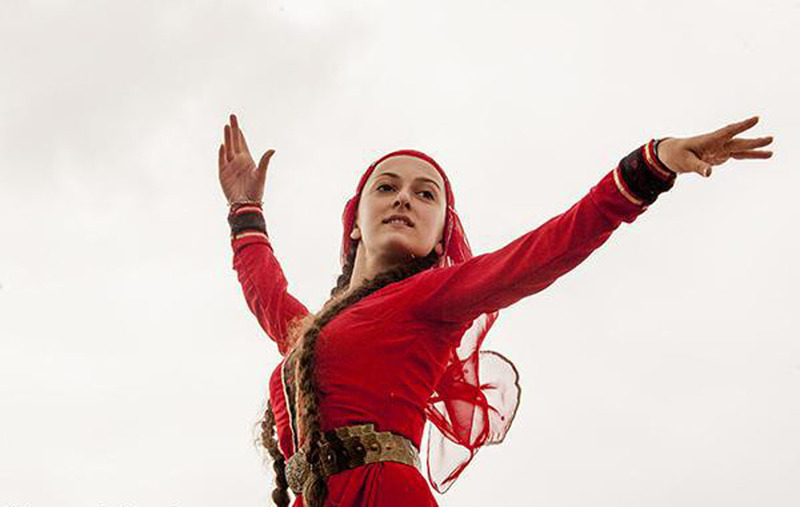 Performances of the ensemble "bagrati" show traditional national dances and songs. 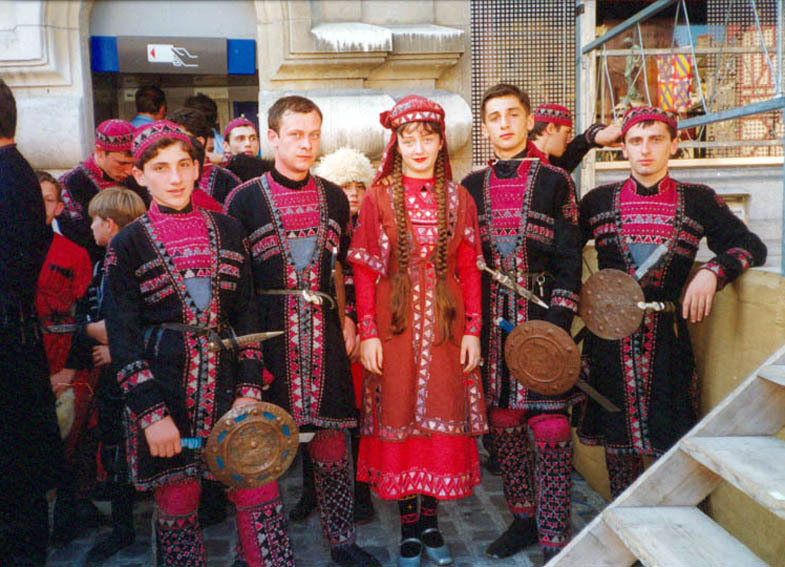 You will see choreographic plasticity in most beautiful national costumes, masterly rendering of musicians on Georgian national instruments. 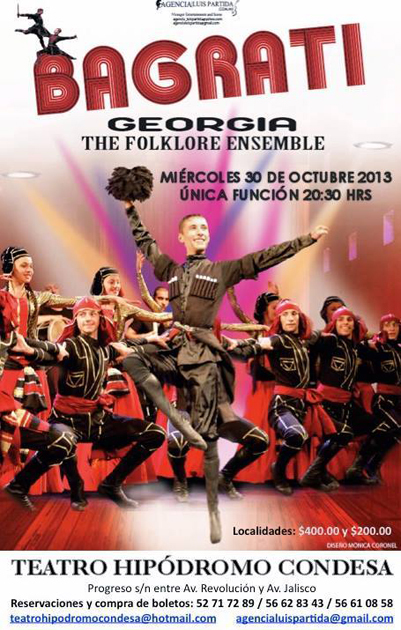 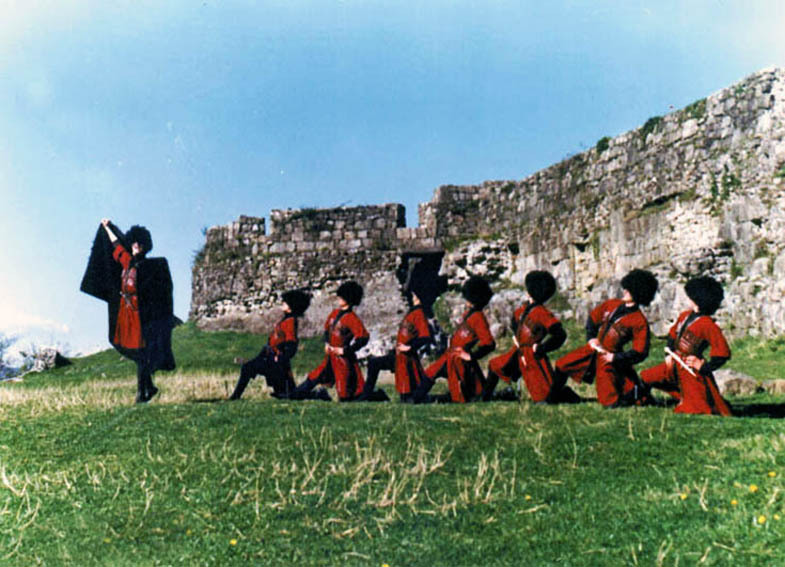 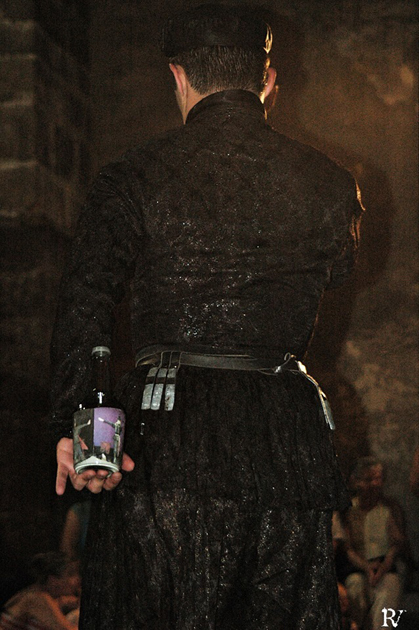 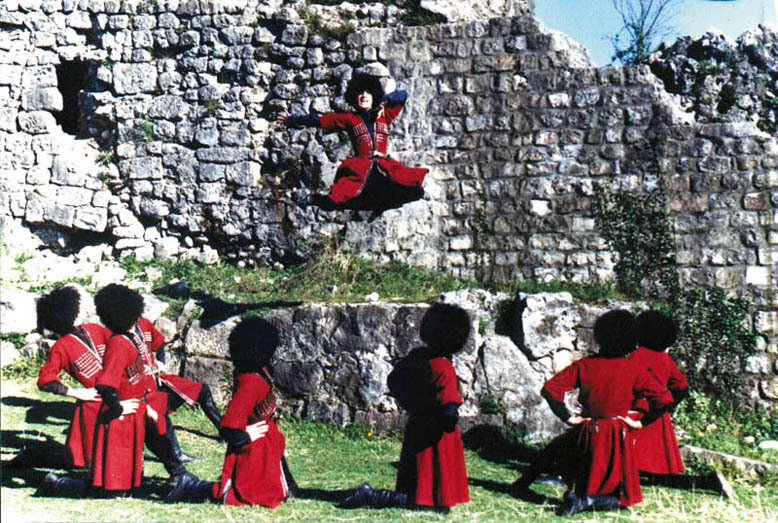 Musical turns will temporarily throw you to magnificent world of Georgian. 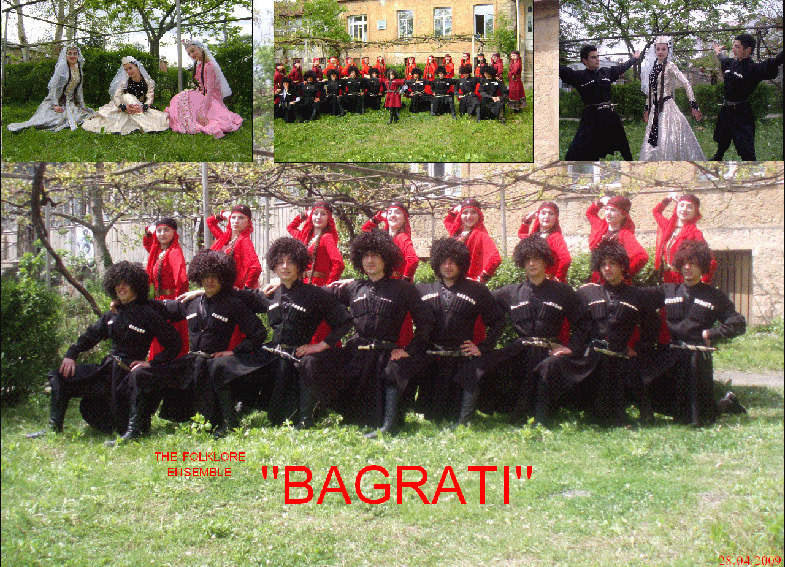 There are two generations in ensemble: "Bagrati I" and "Bagrati II". 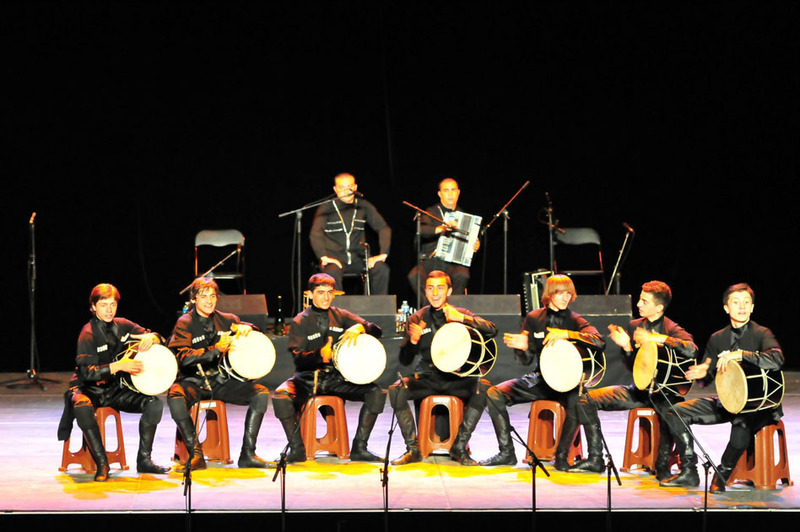 The ensemble is ready to take part into various festivals and competitions all over the world and also to give commercial concerts. 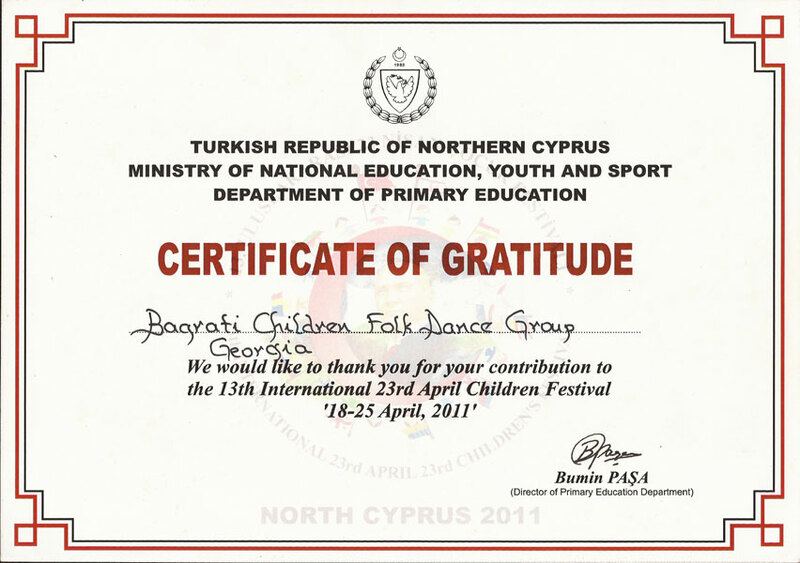 and in number of festivals all over the Turkey. 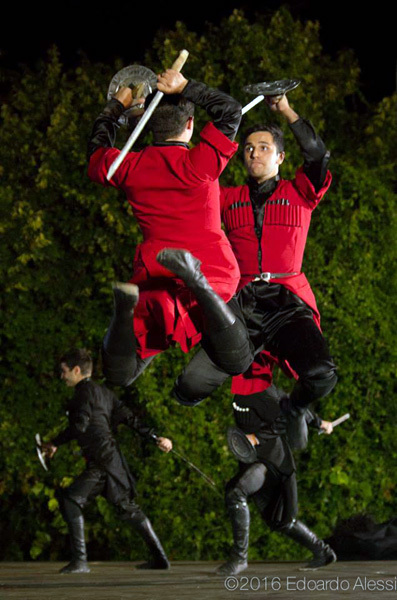 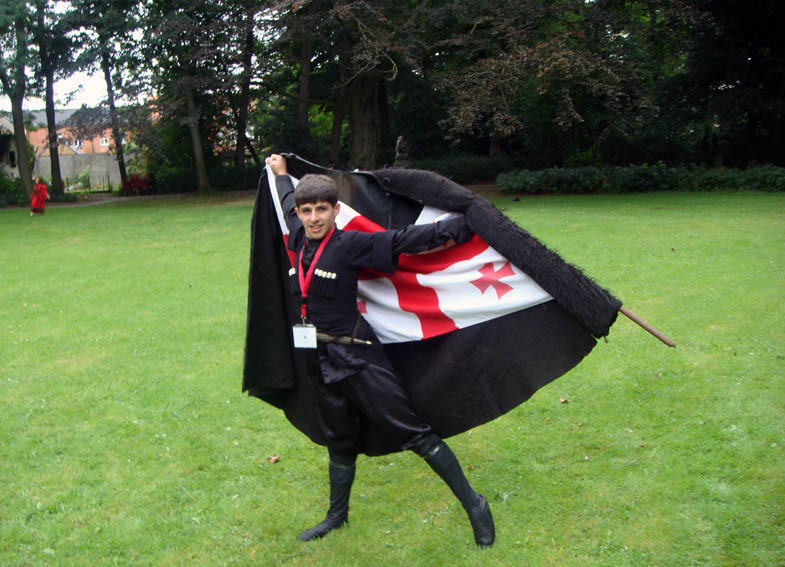 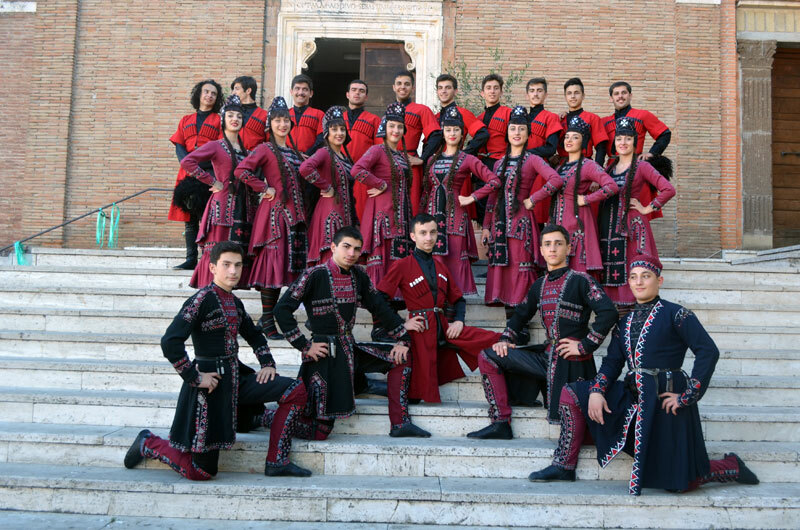 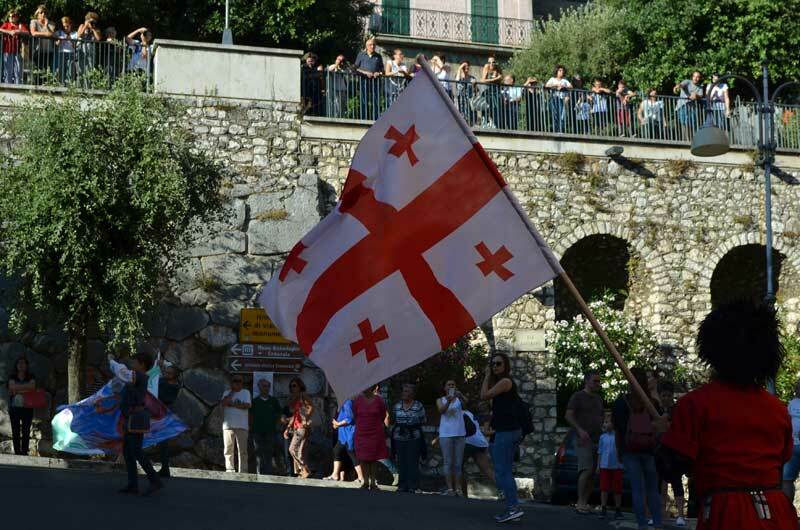 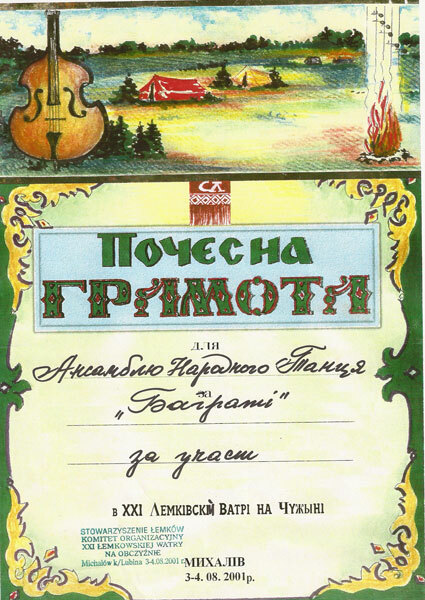 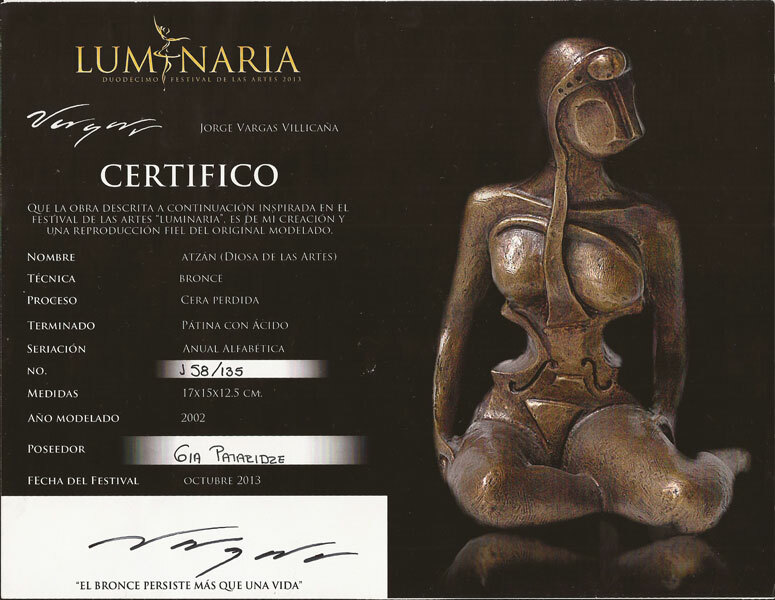 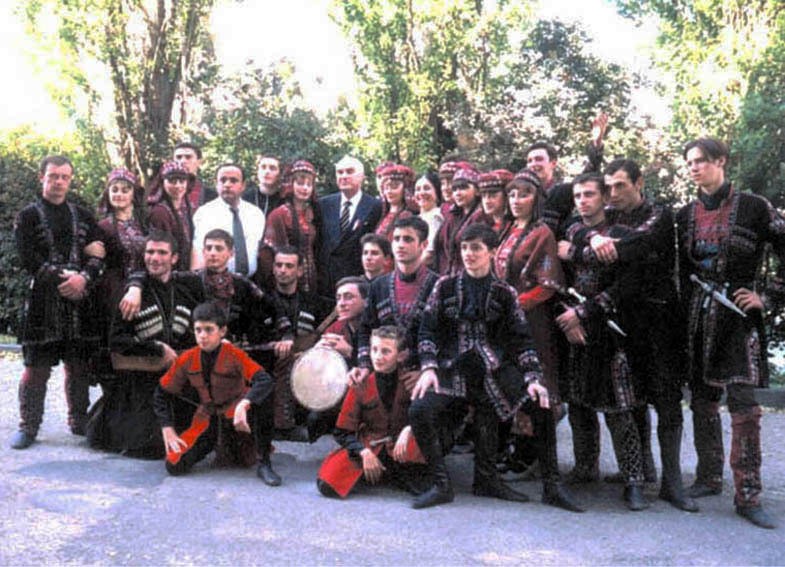 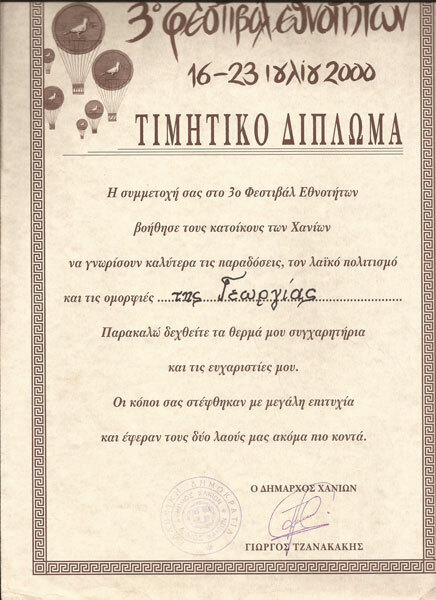 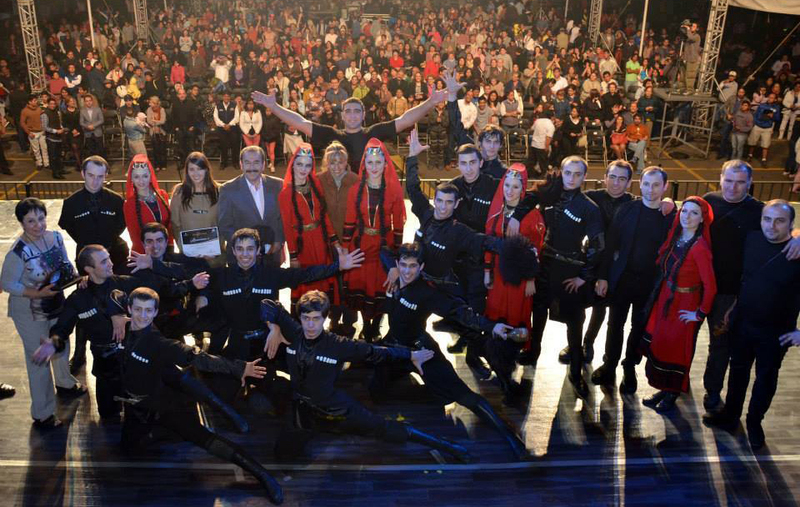 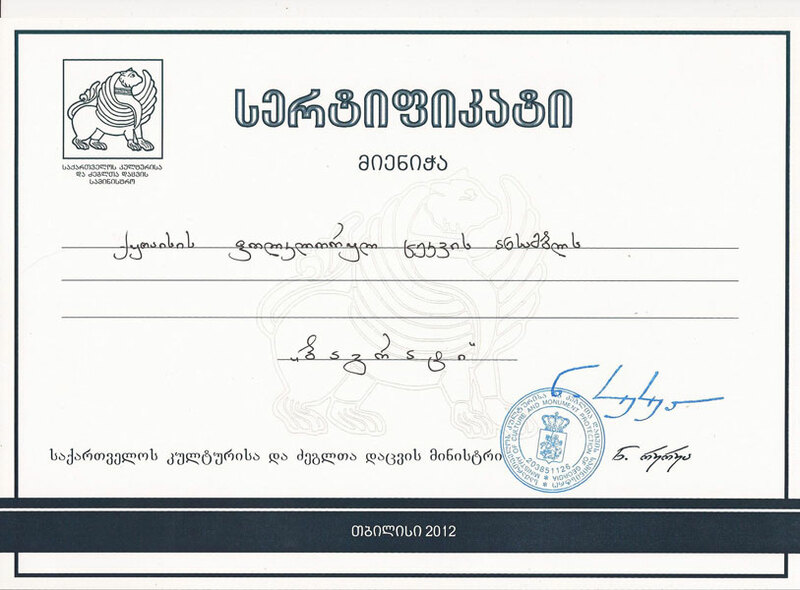 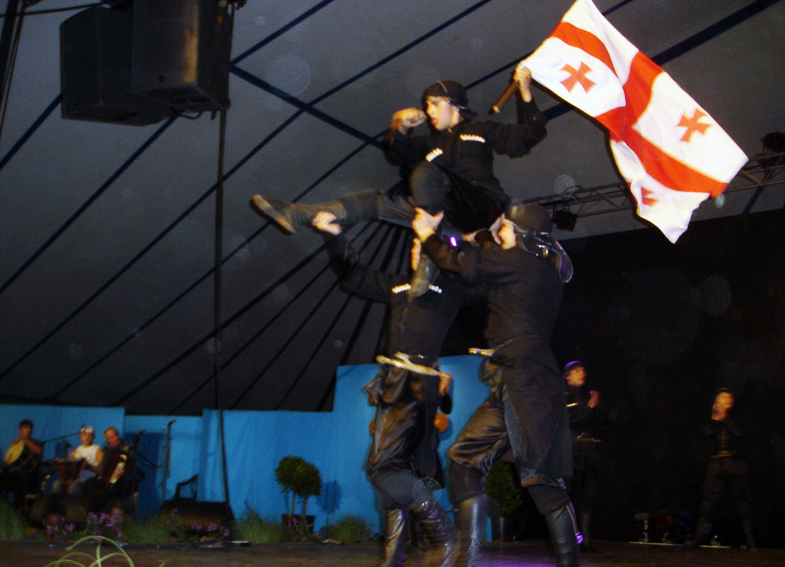 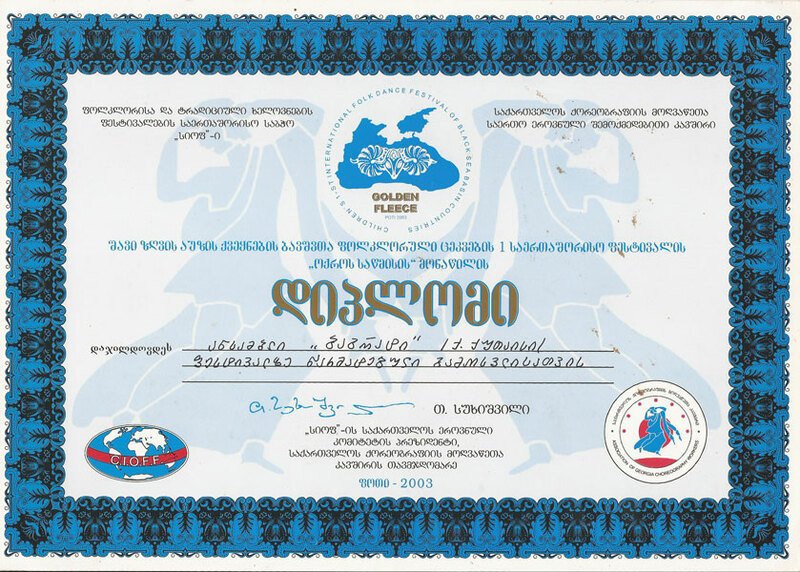 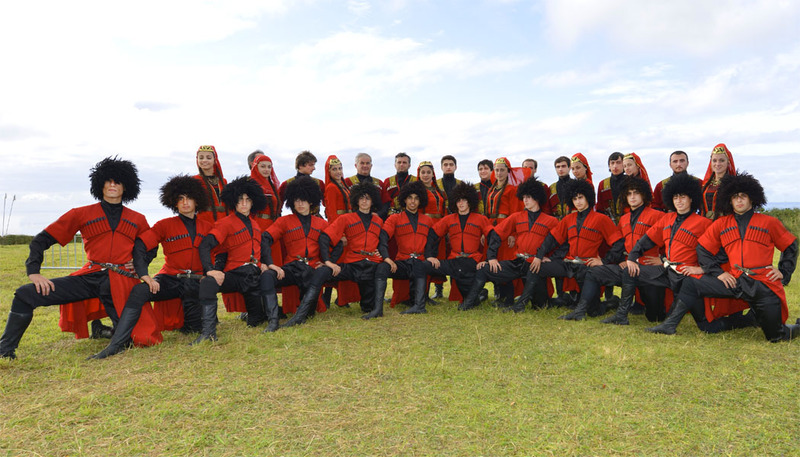 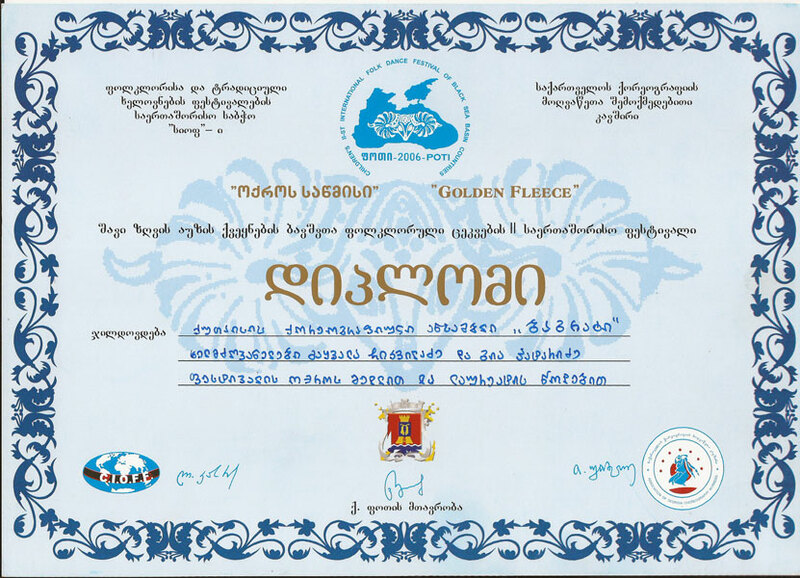 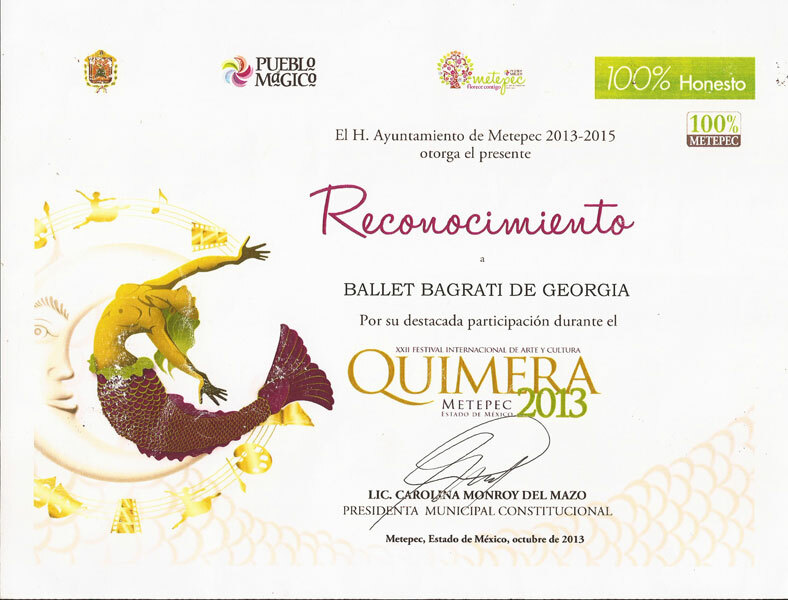 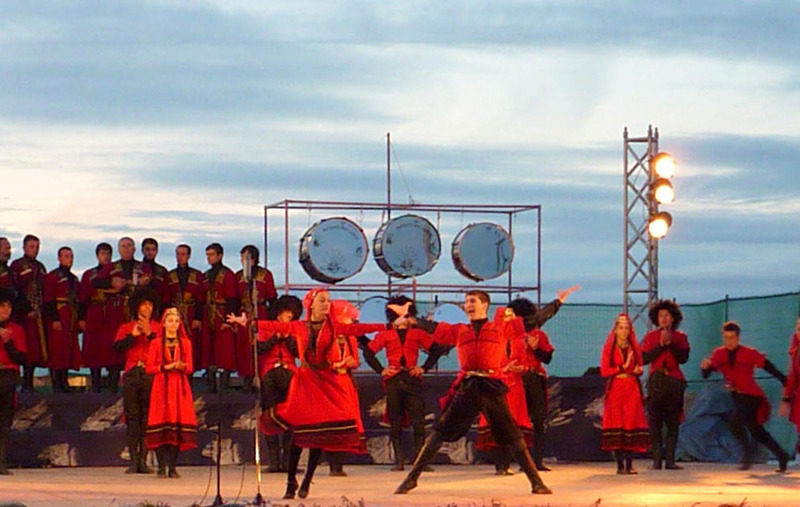 The ensemble "Bagrati" is the laureate of the various competitions held in Georgia and is the owner of the golden medal. 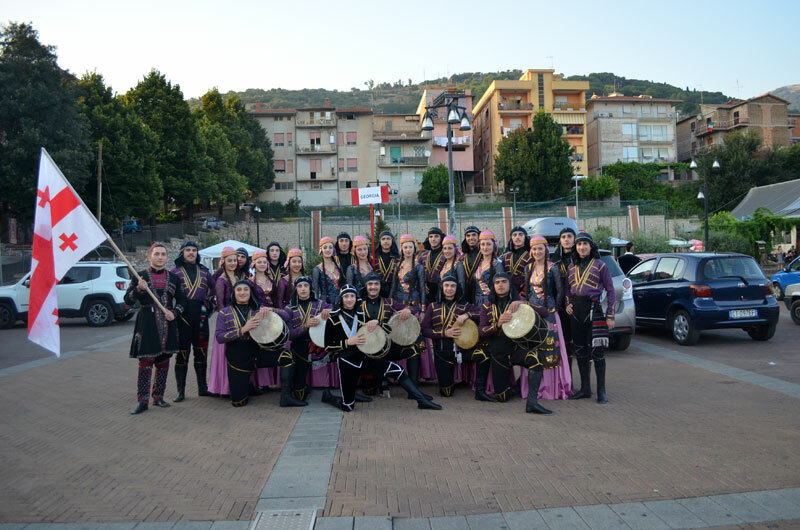 The ensemble is ready to take part into various festivals and competitions all over the world and also to give commercial concerts. 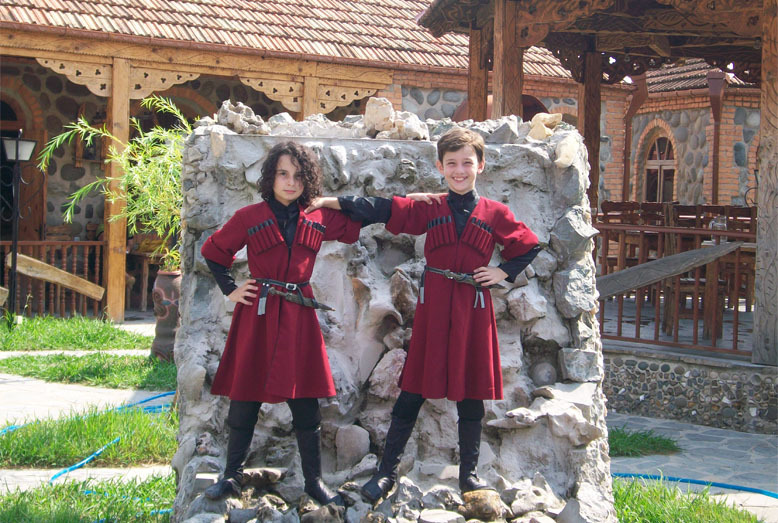 In "Bagrati I" there are children of the age of 10-14. 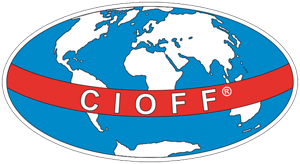 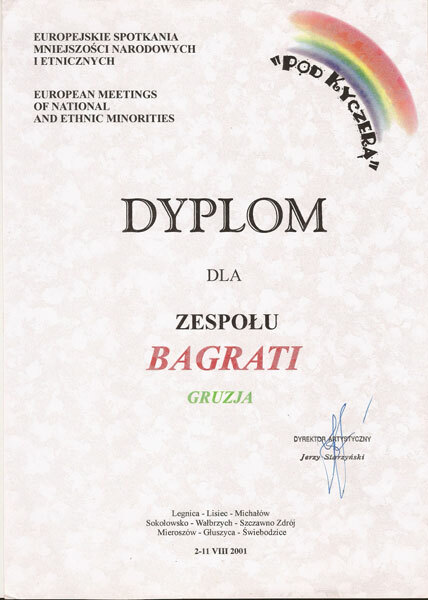 In "Bagrati II" up the 16-25 years.